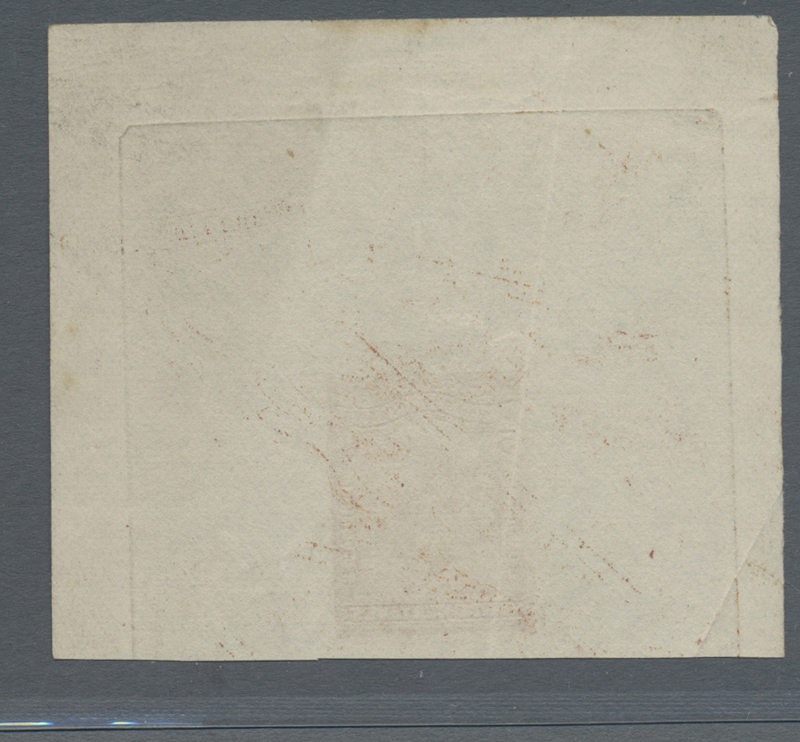 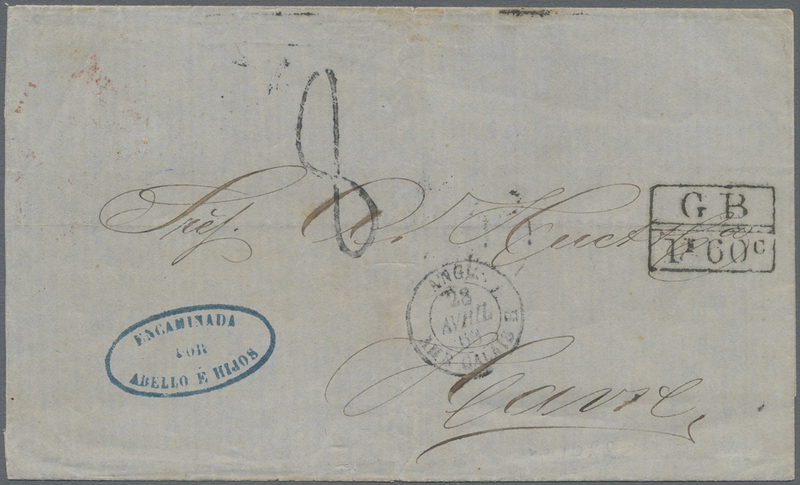 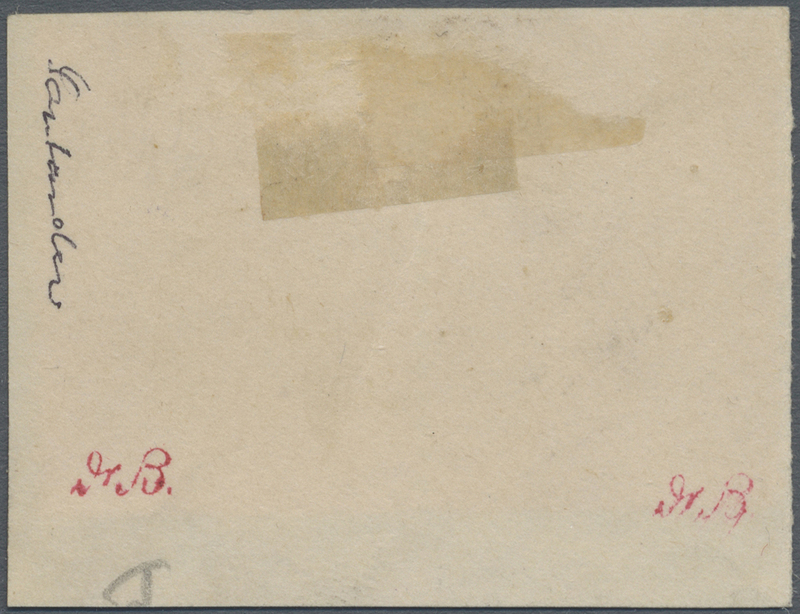 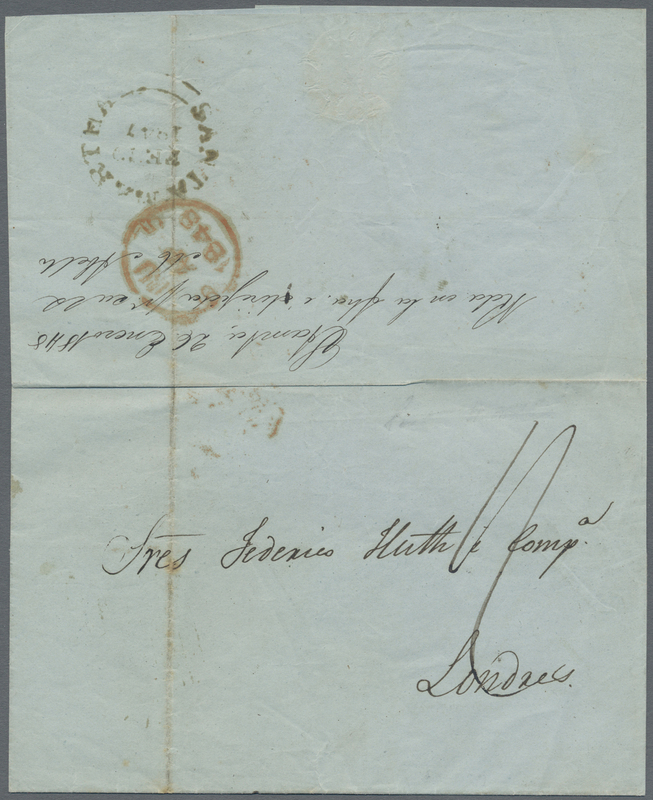 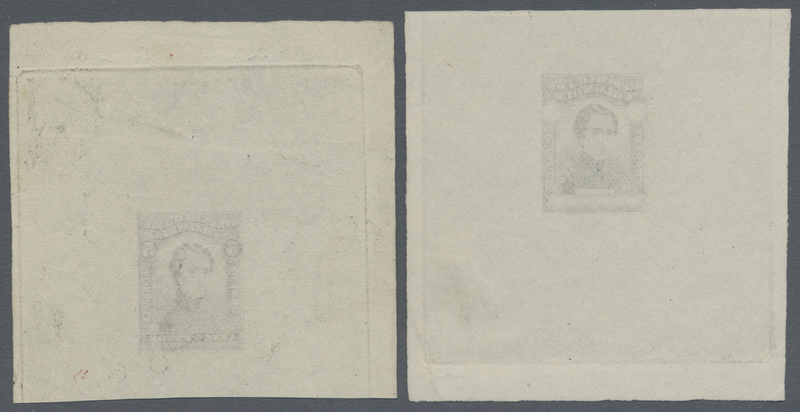 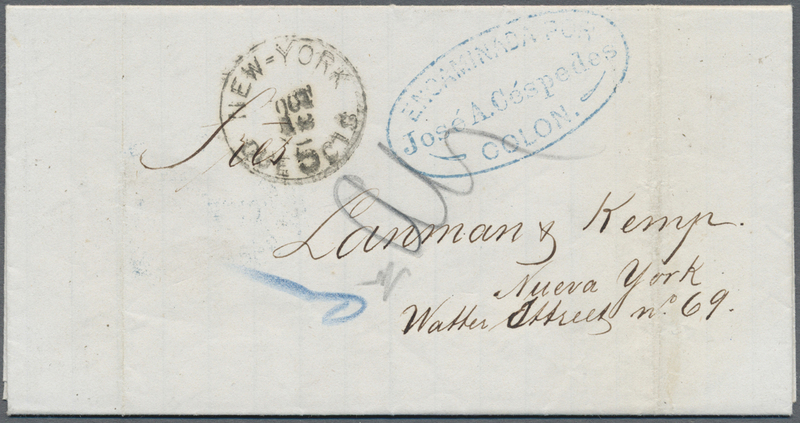 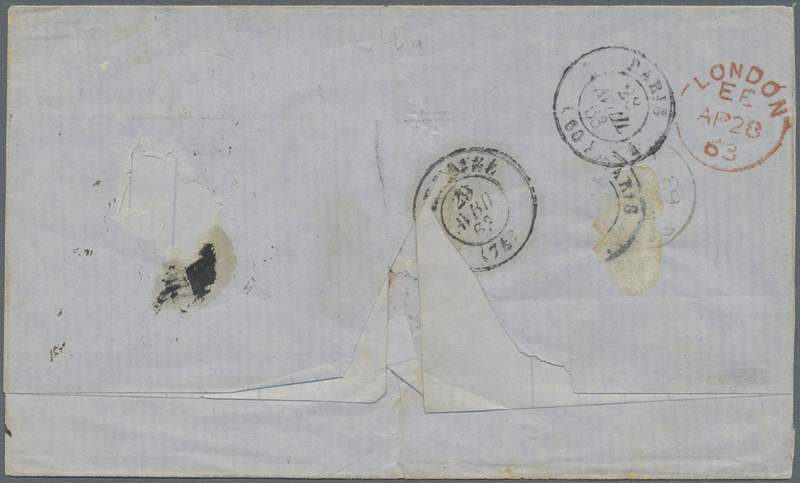 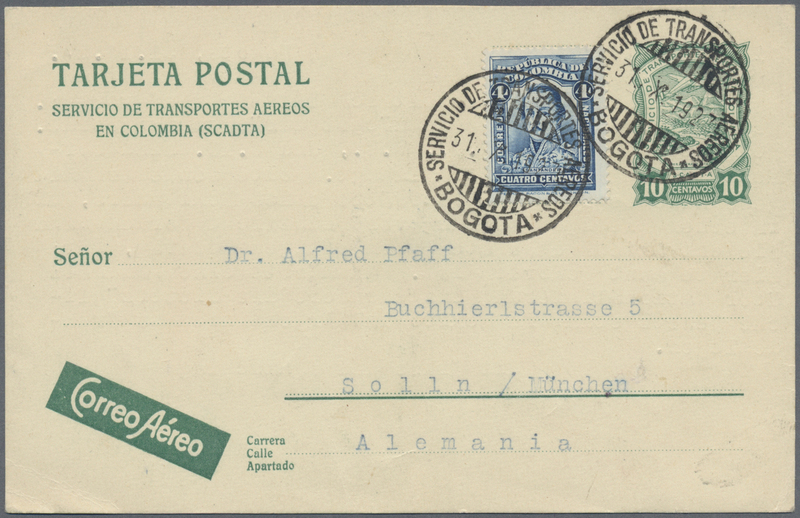 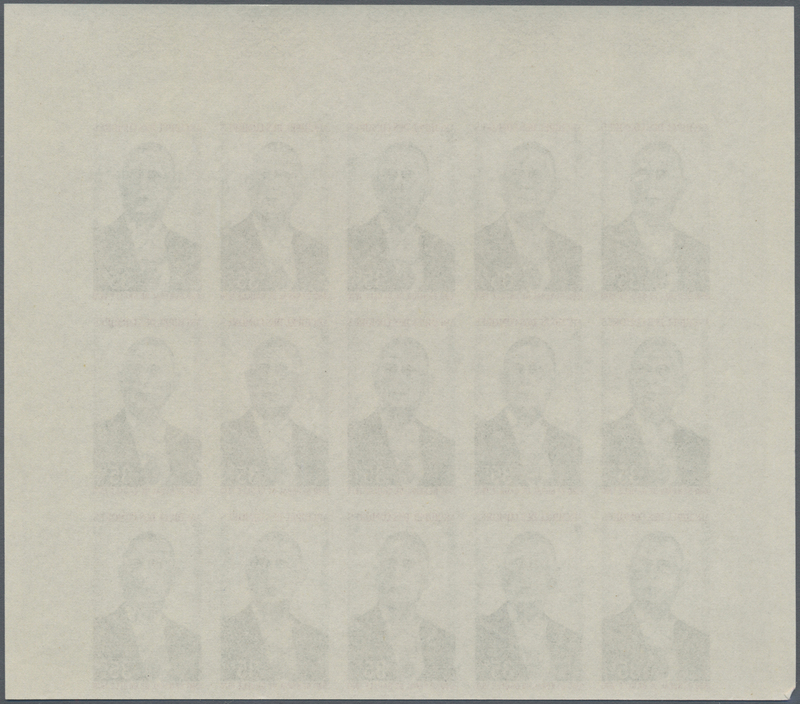 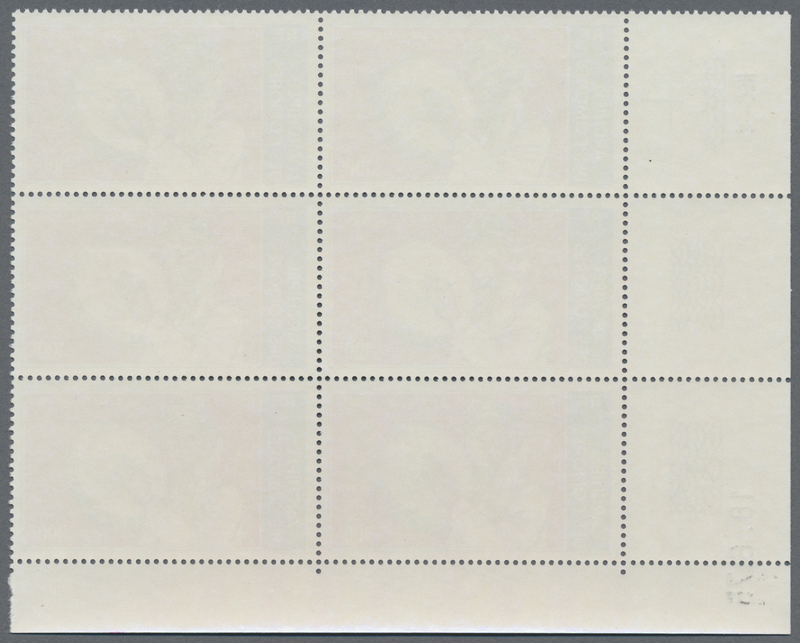 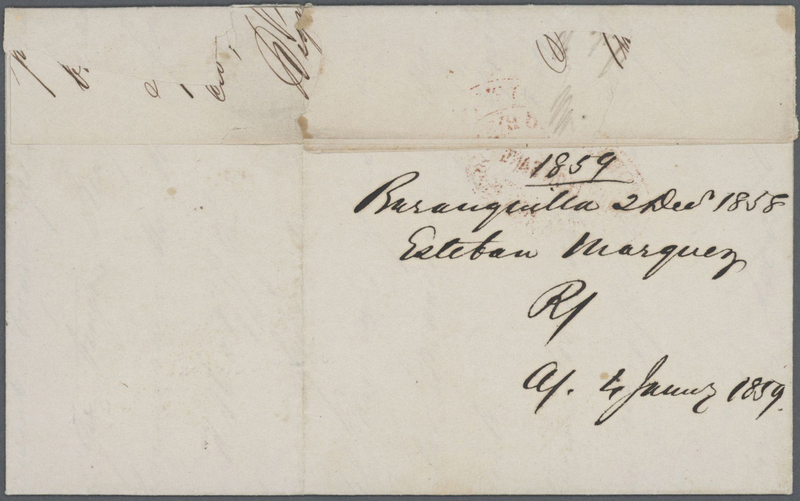 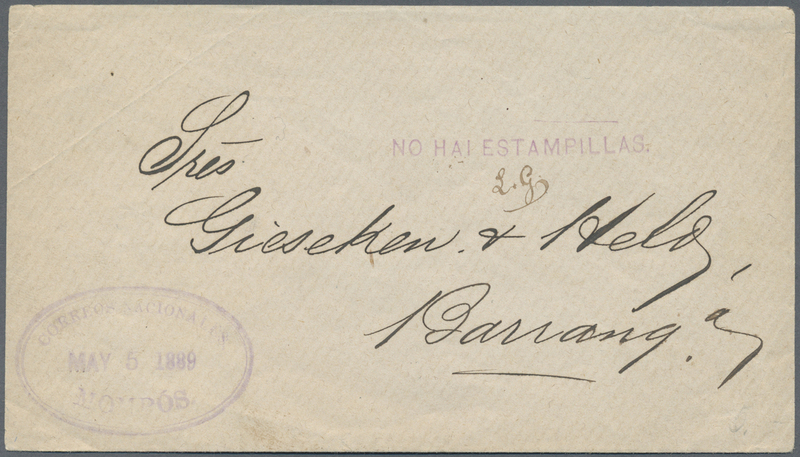 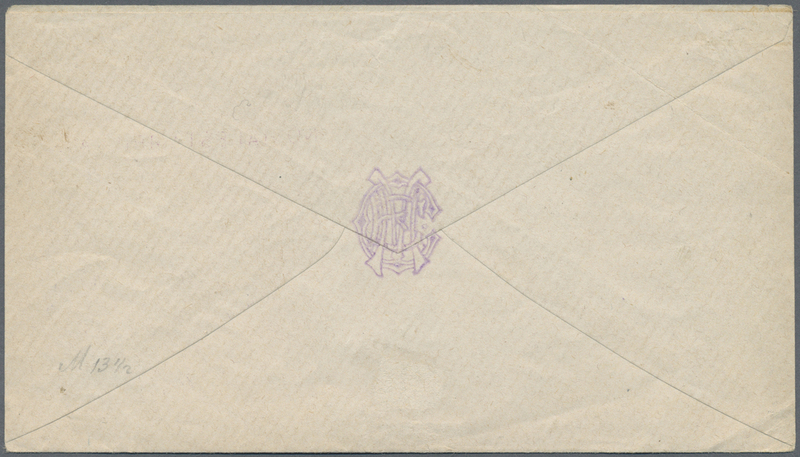 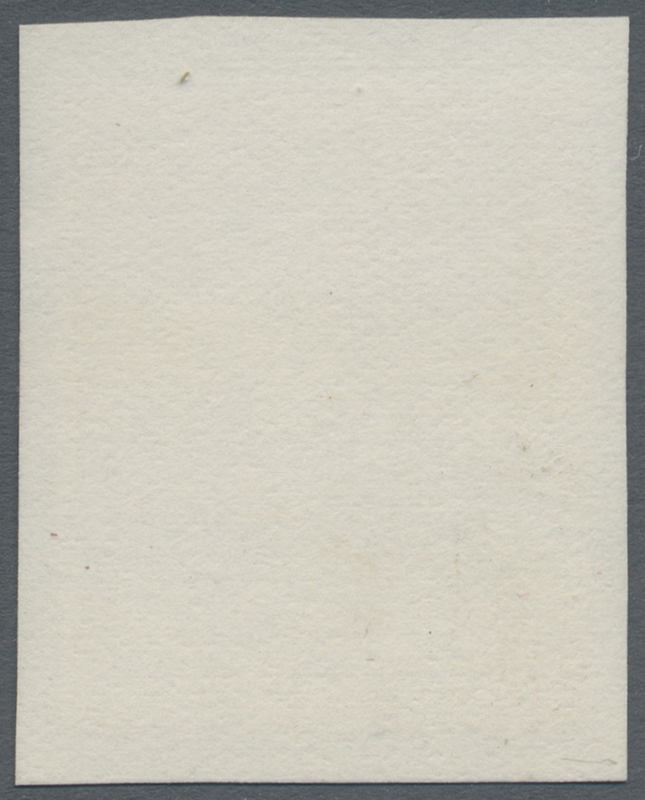 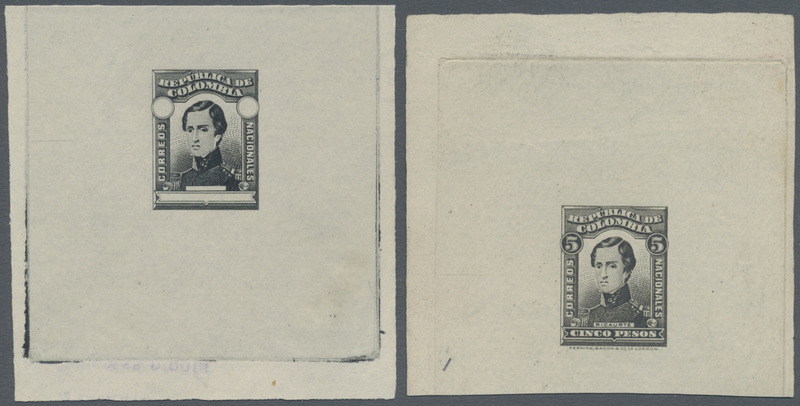 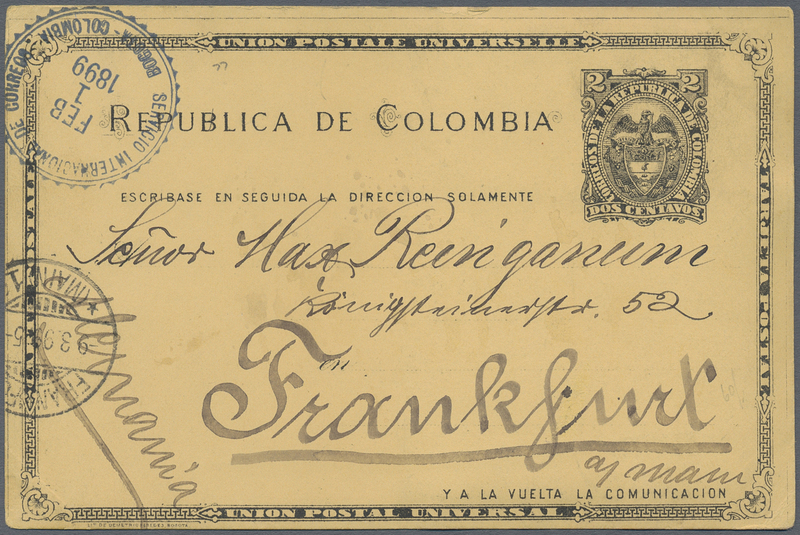 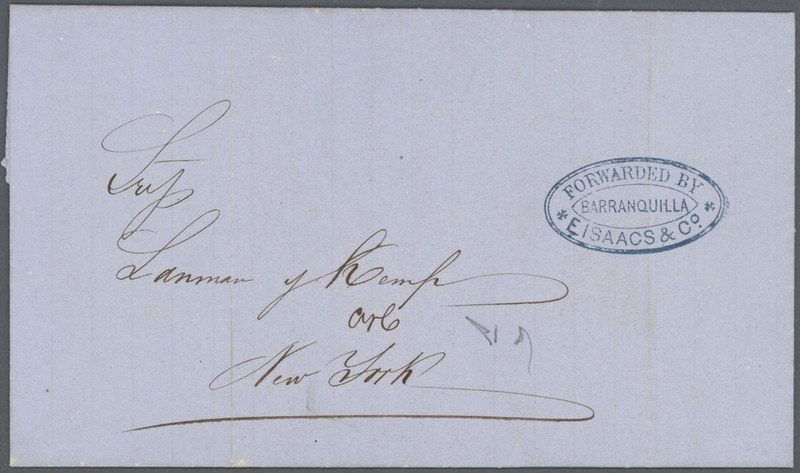 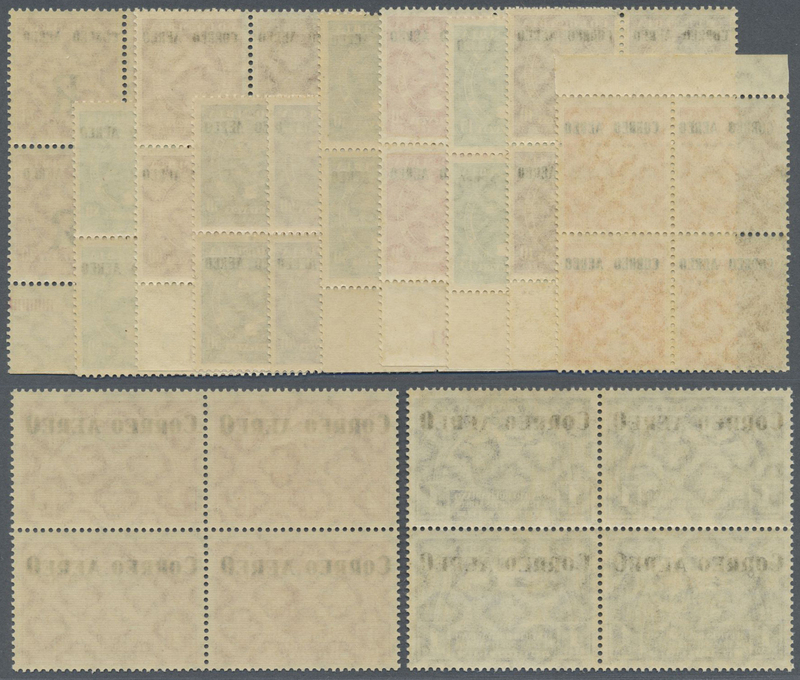 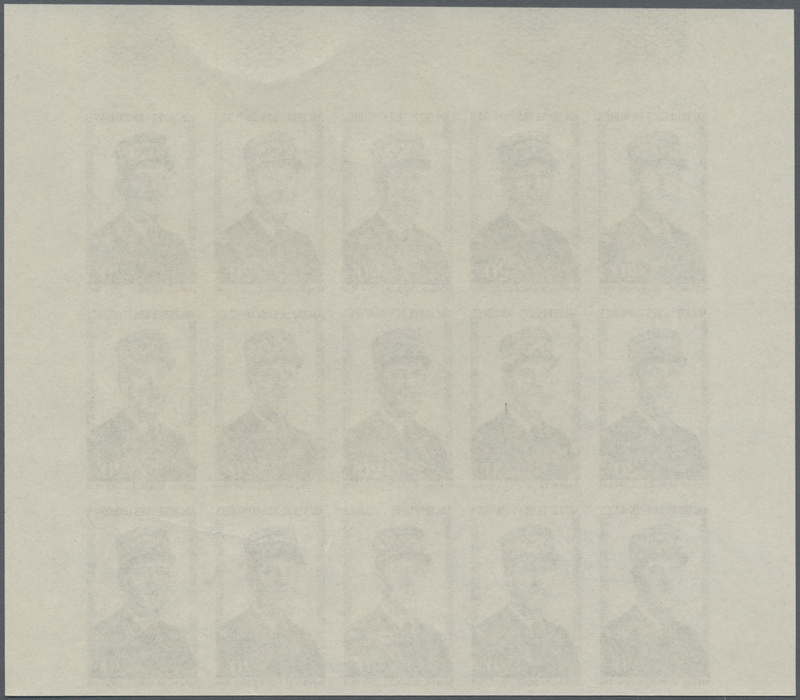 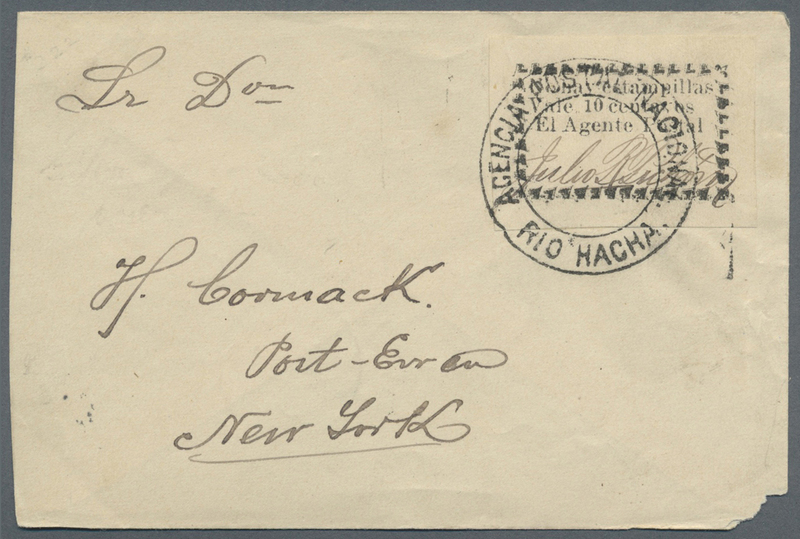 12208 Briefstück (on piece) 1, 2 BOLIVAR 1863-66 PART COVER FRONT WITH COMPLETE FRANKING OF 1 PESO 10C. 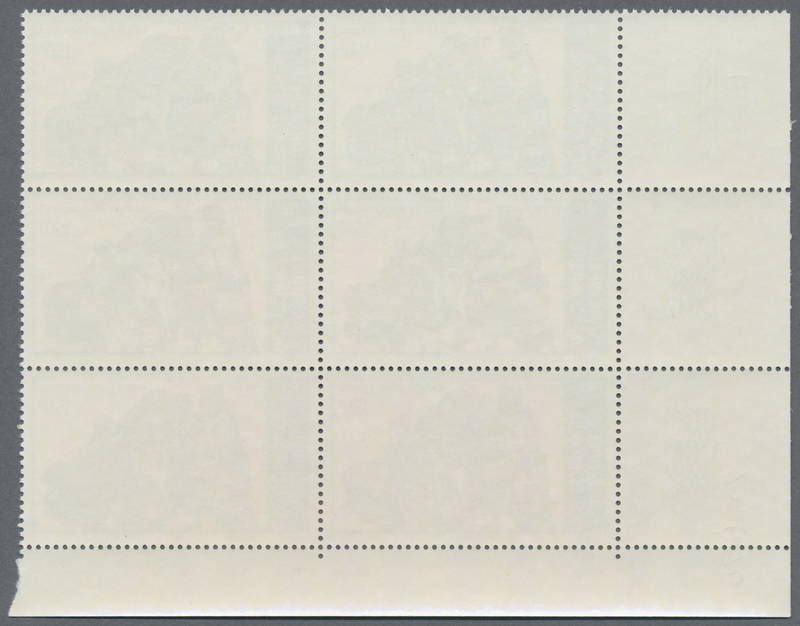 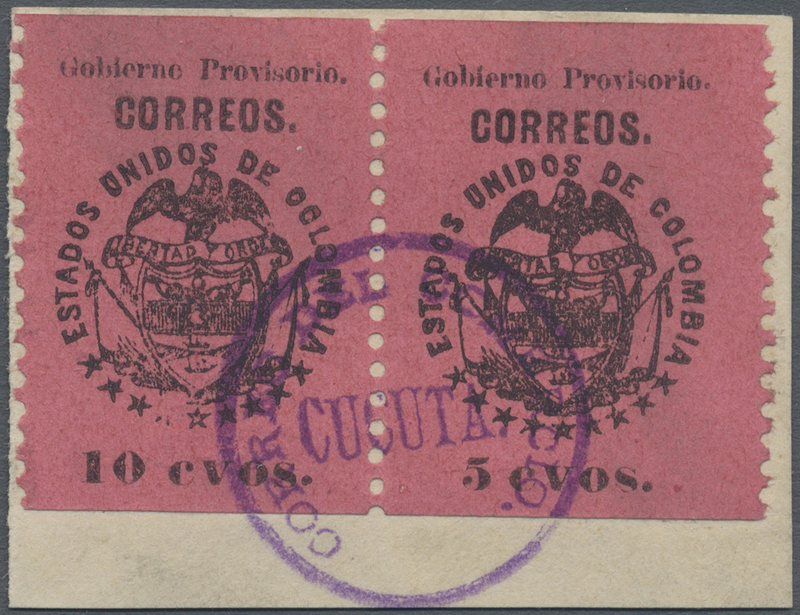 The 10c red very fine with full and three ample margins, the 1 Peso, full to ample margins (natural horizontal pre-crease) both tied together by pen cancel " P 1,10 Cartag " ( Cartagena ). 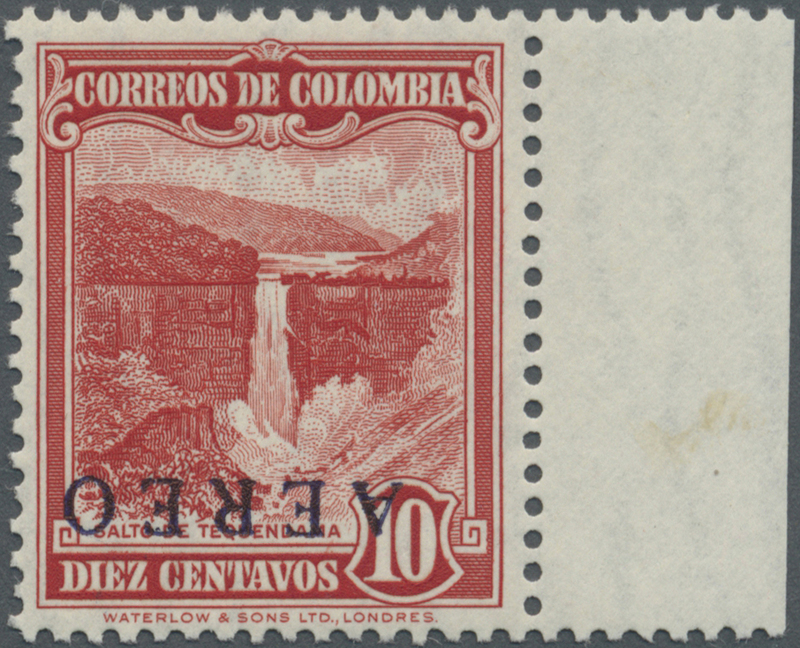 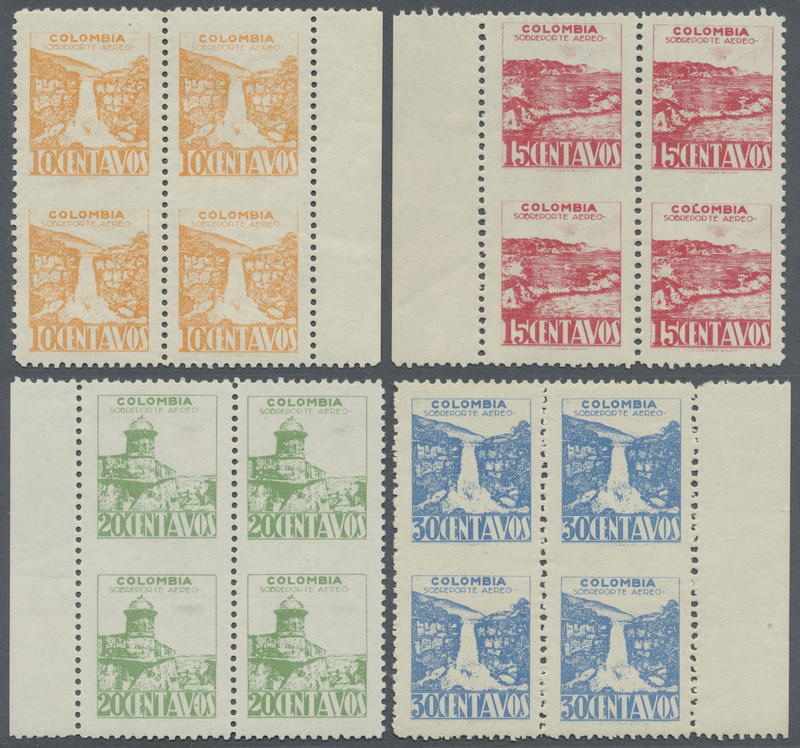 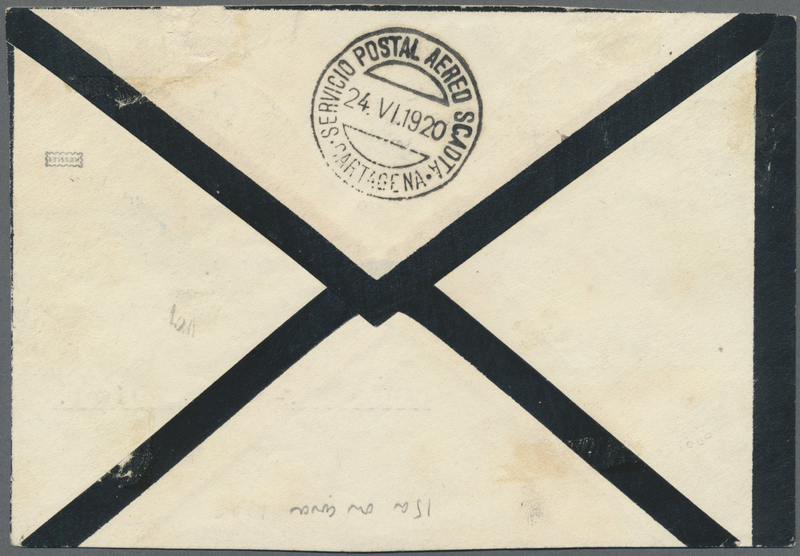 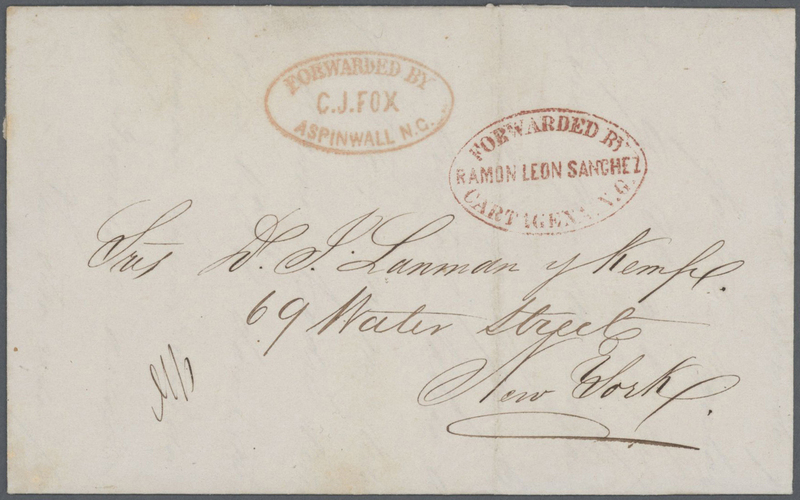 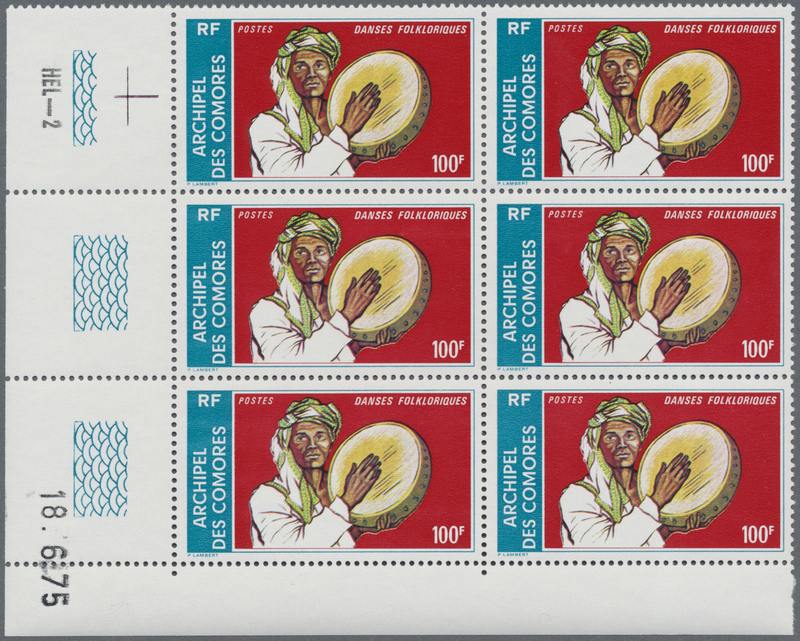 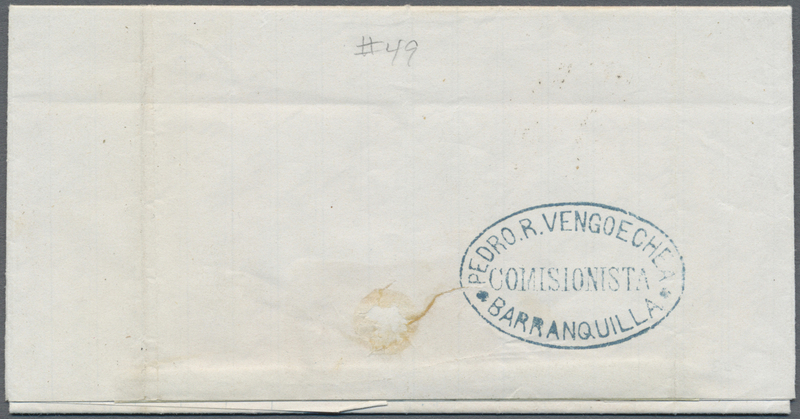 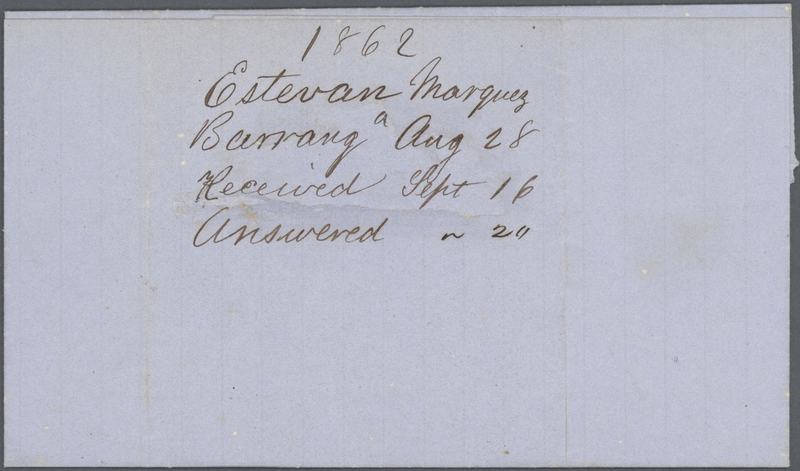 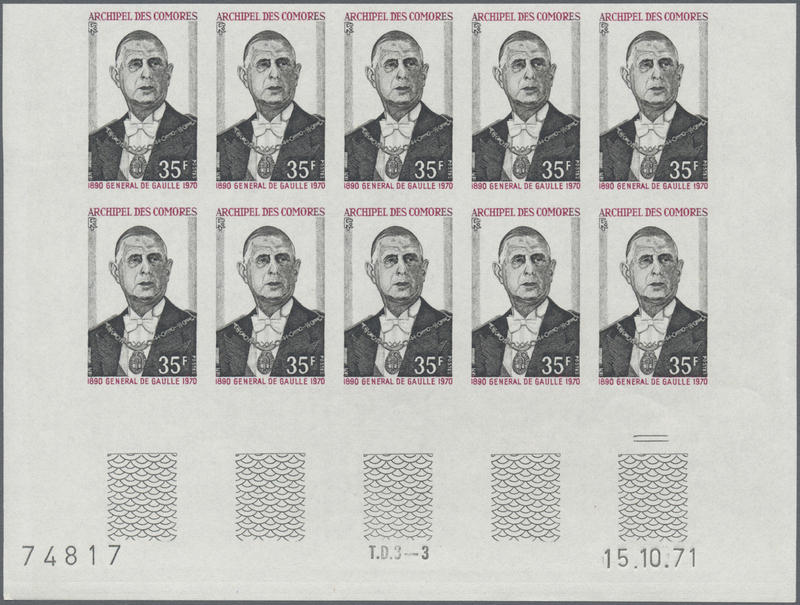 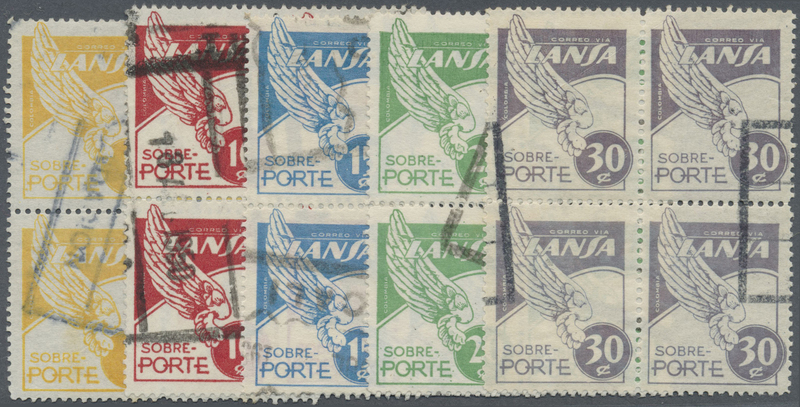 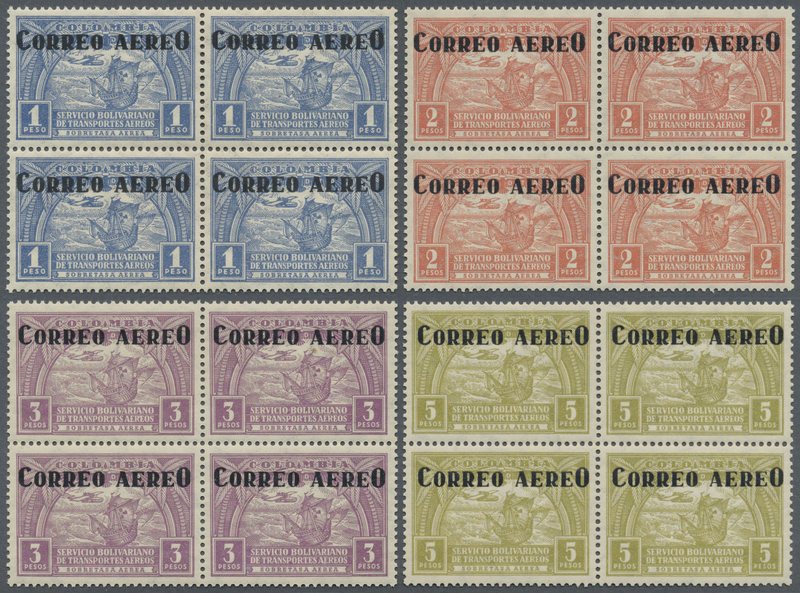 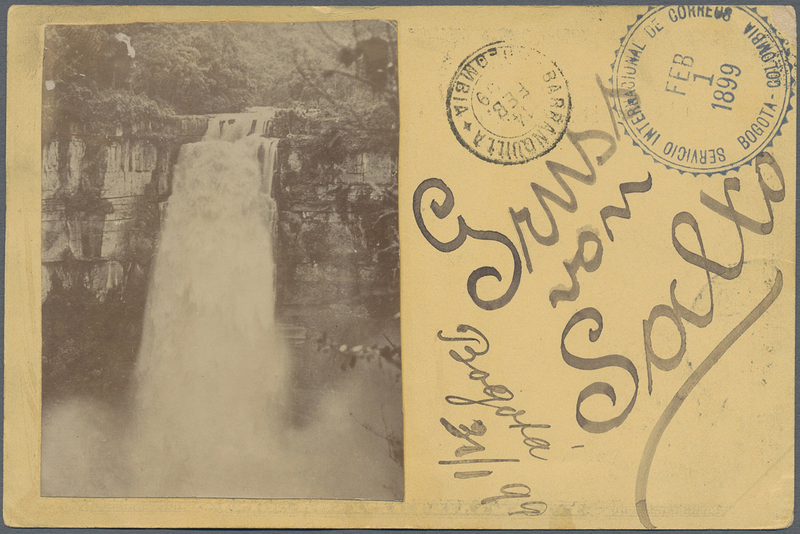 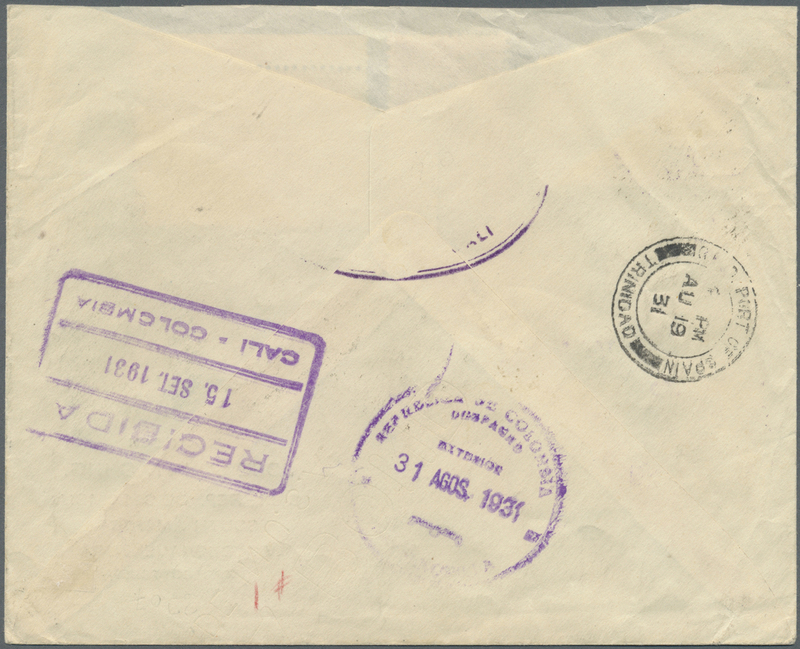 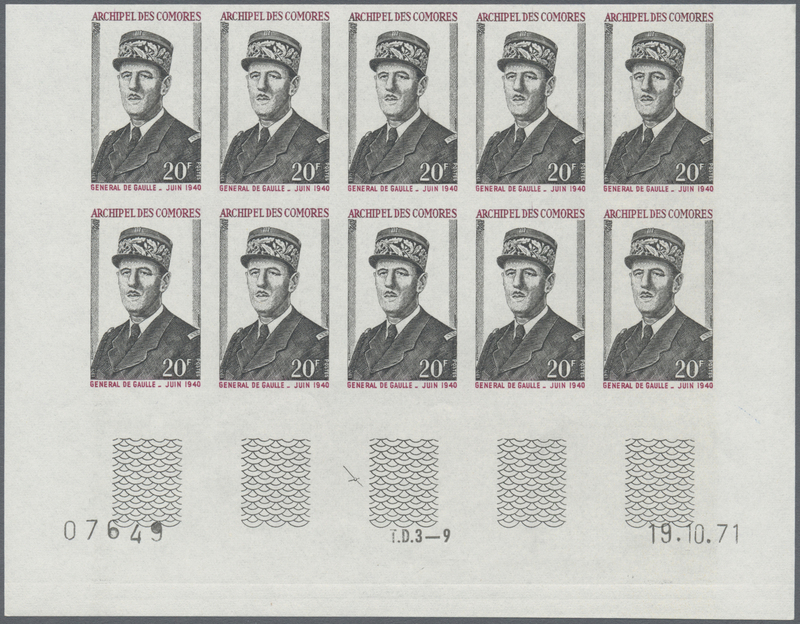 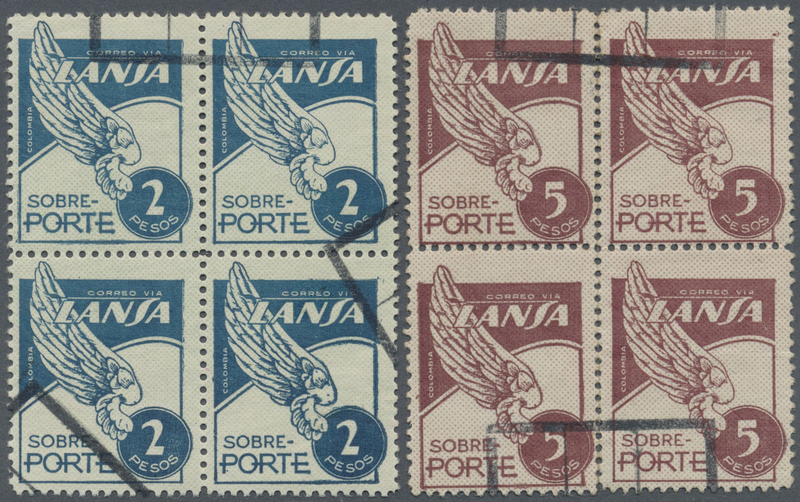 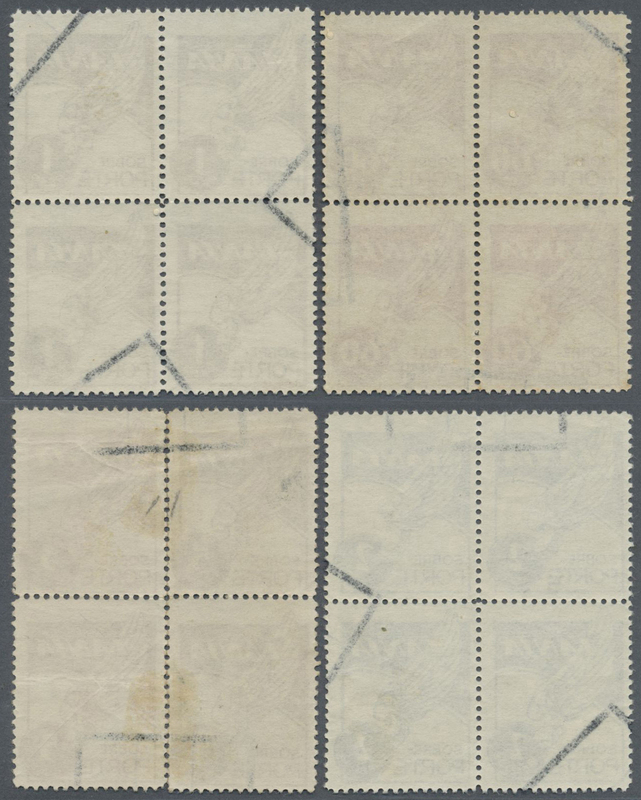 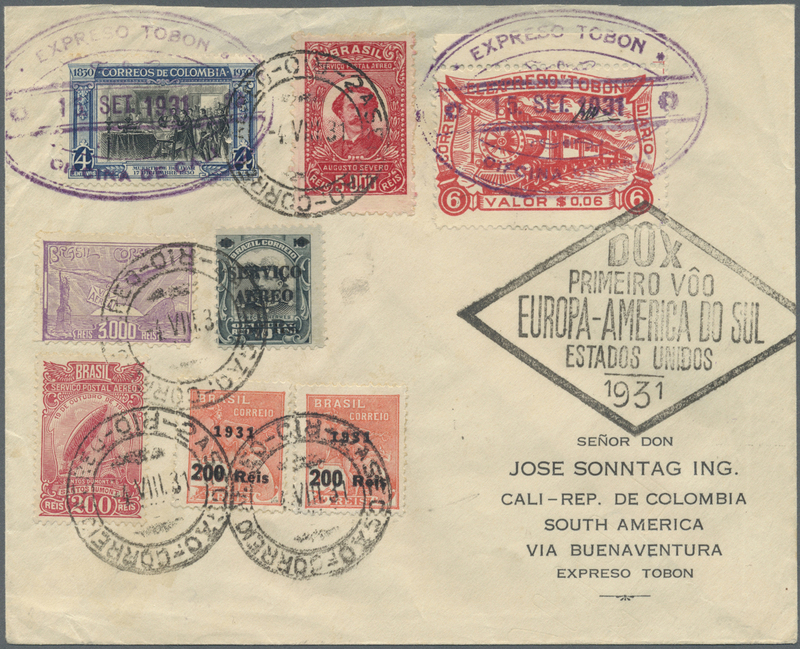 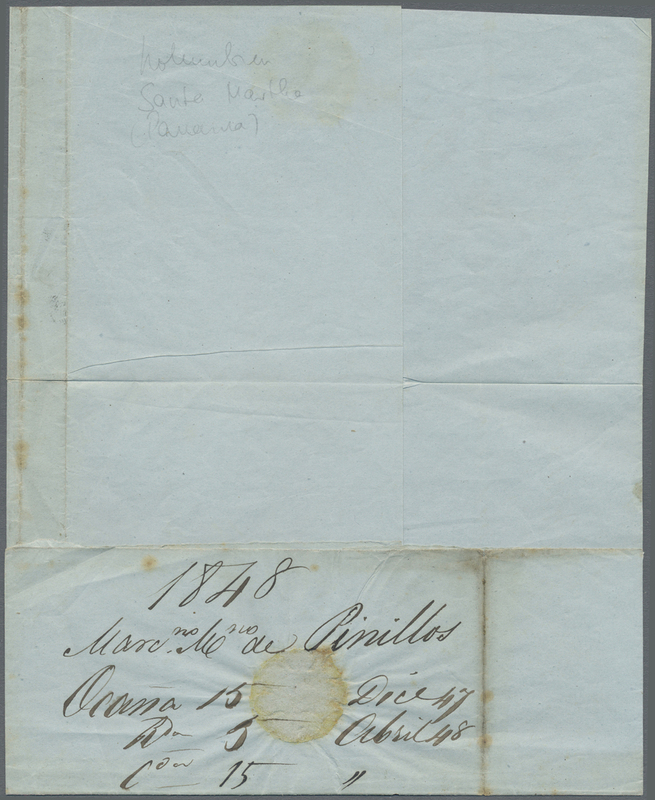 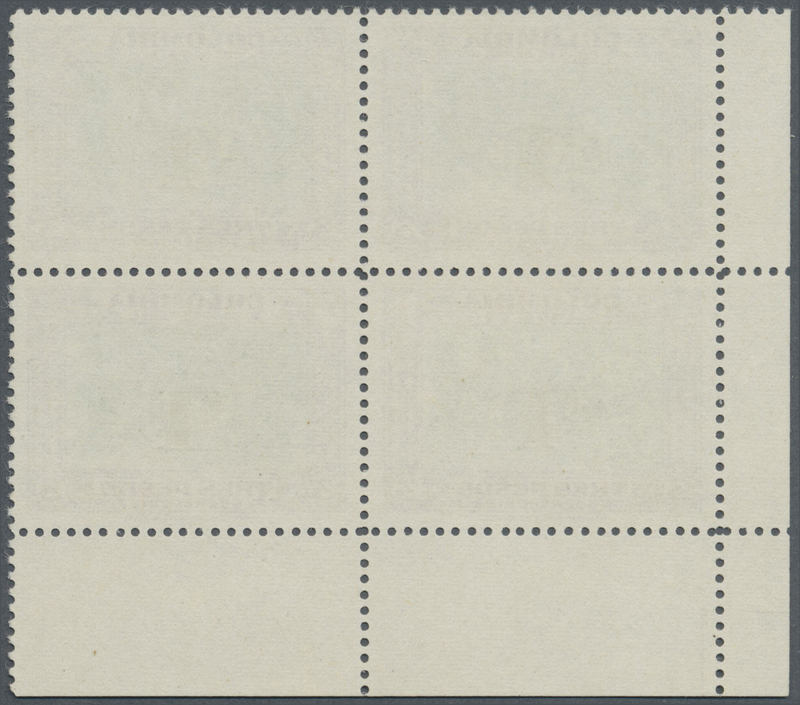 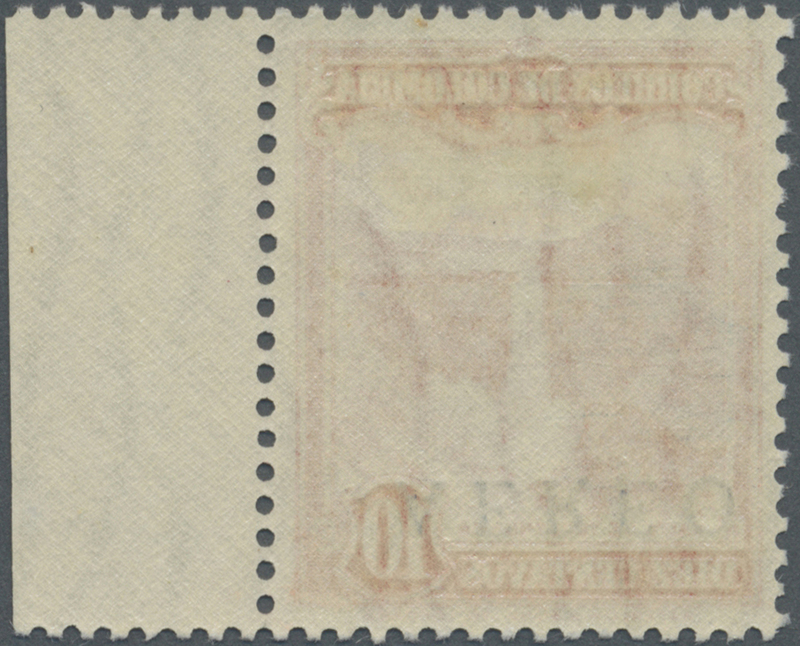 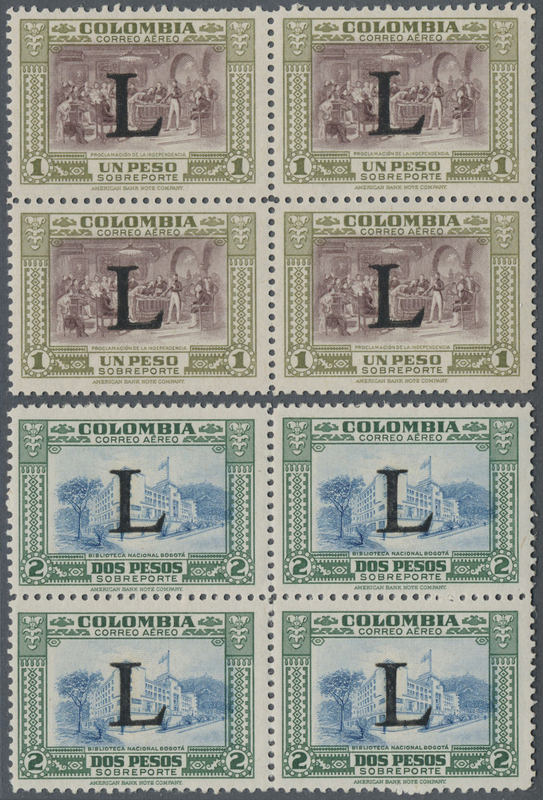 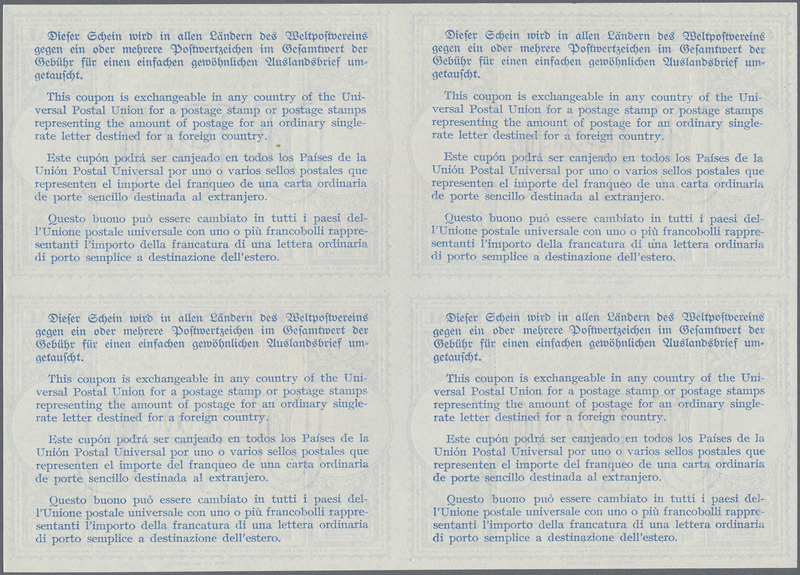 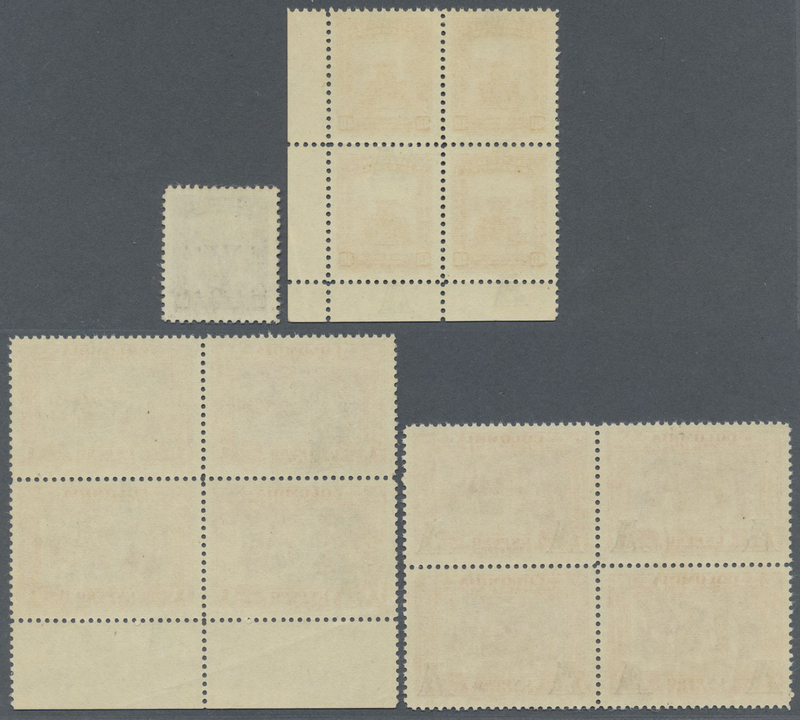 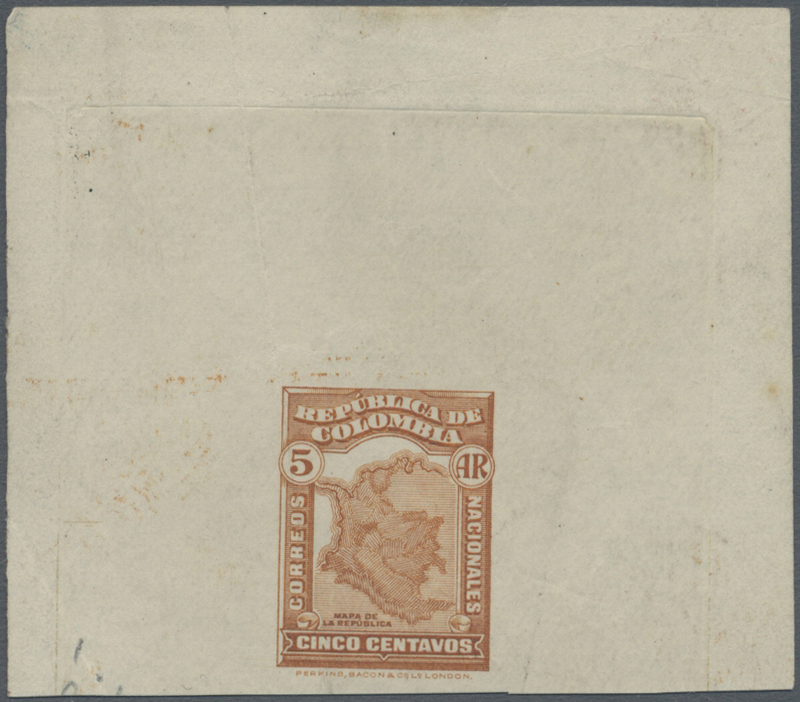 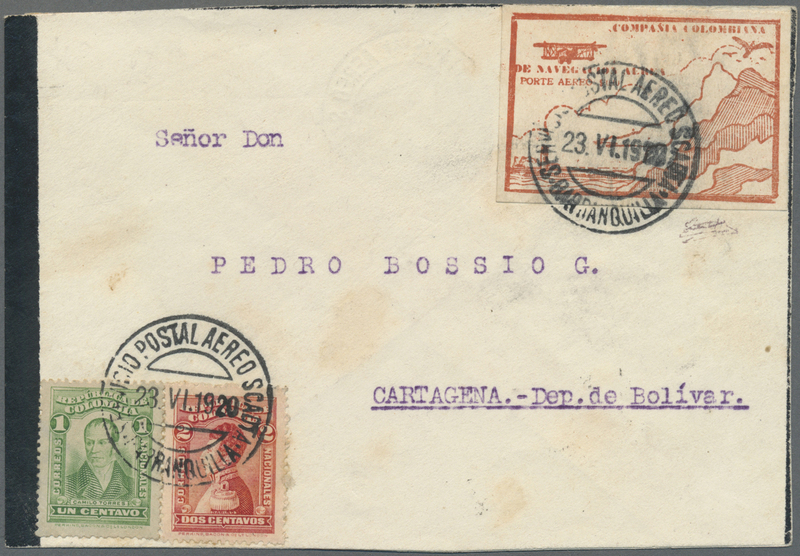 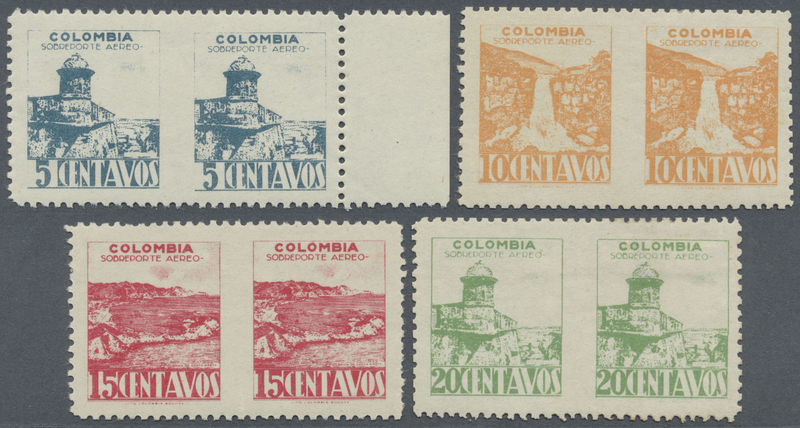 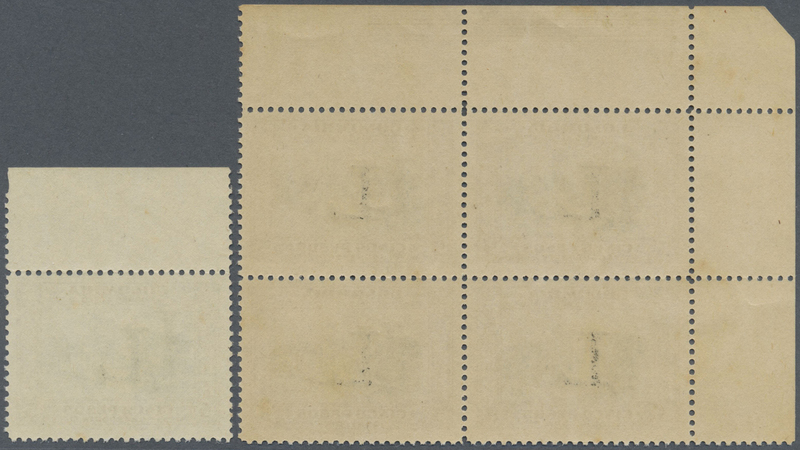 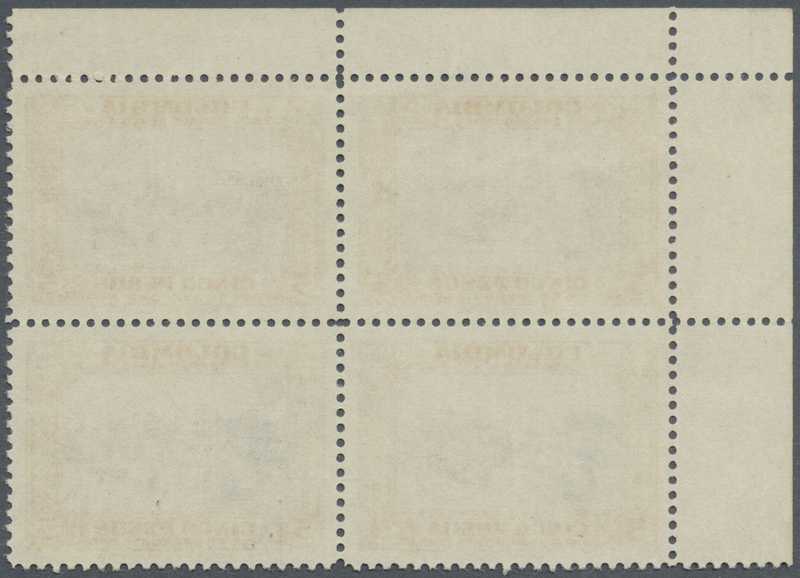 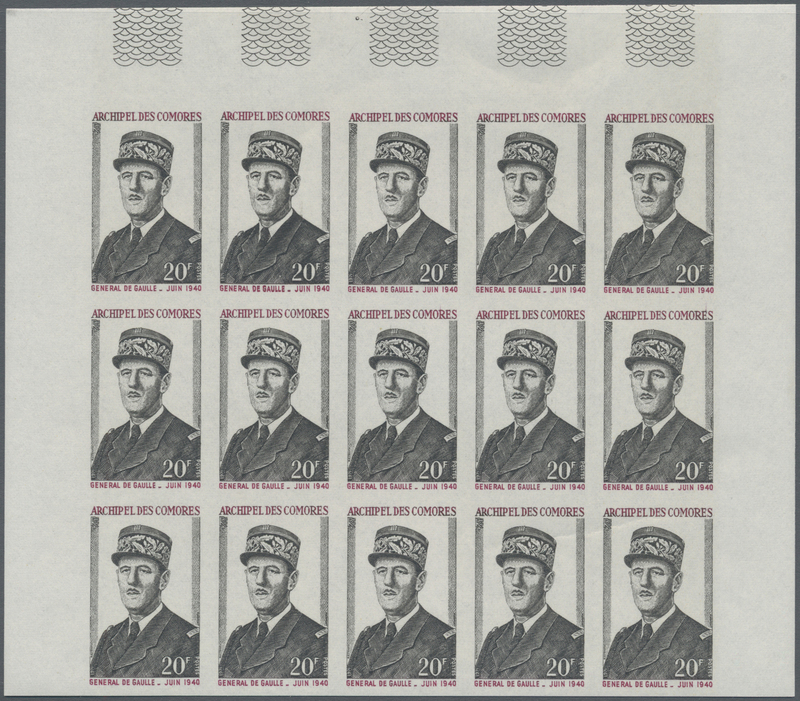 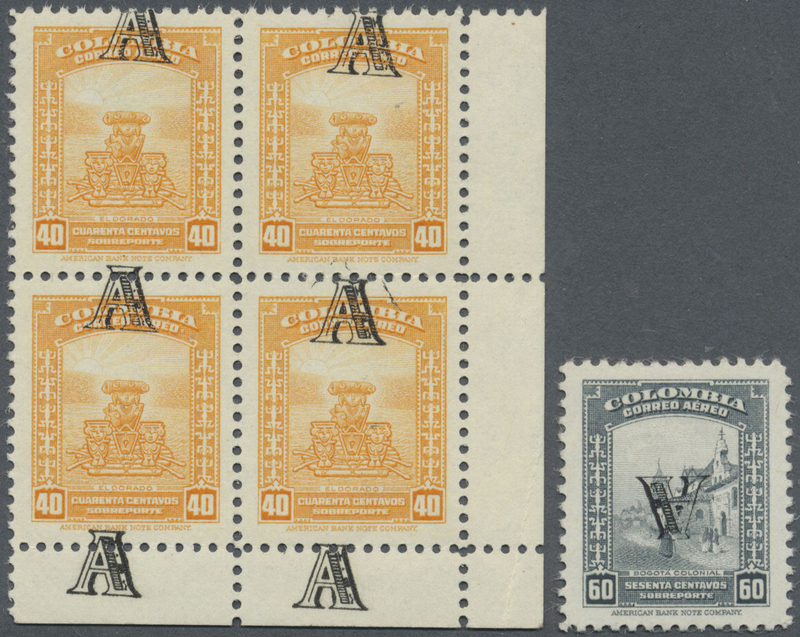 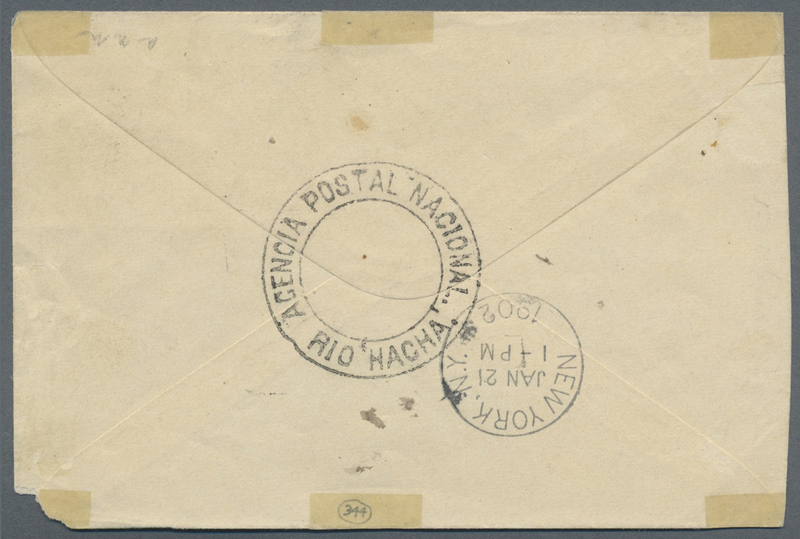 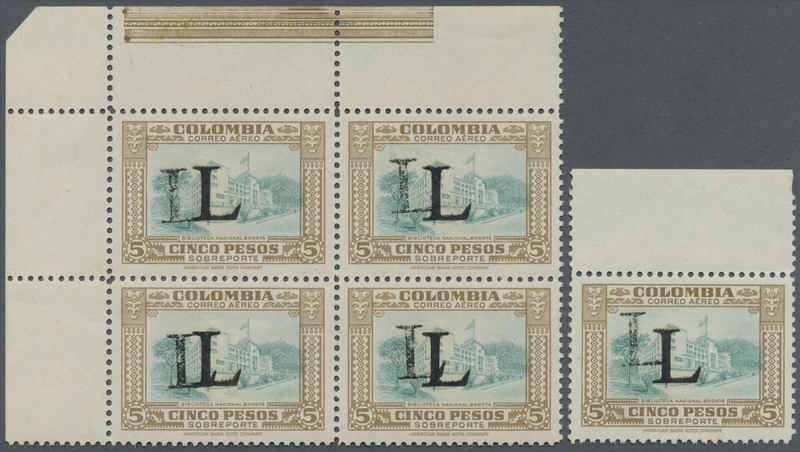 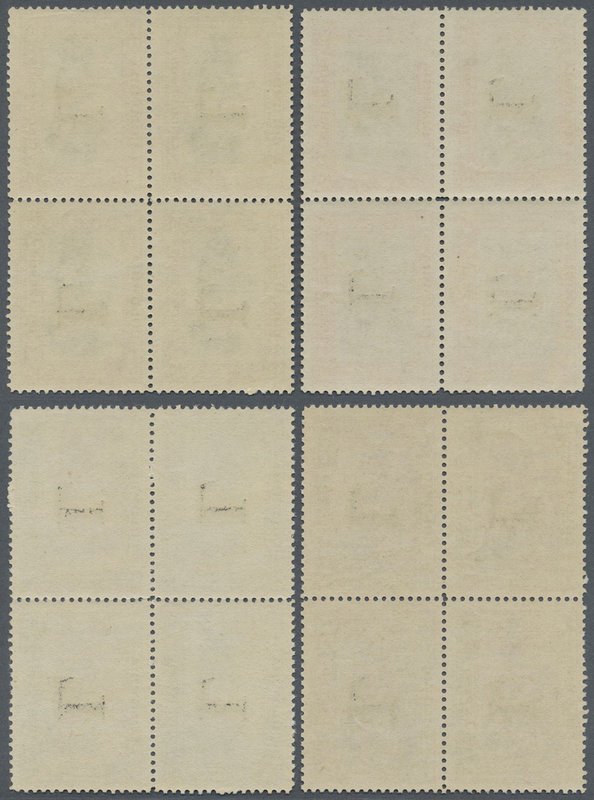 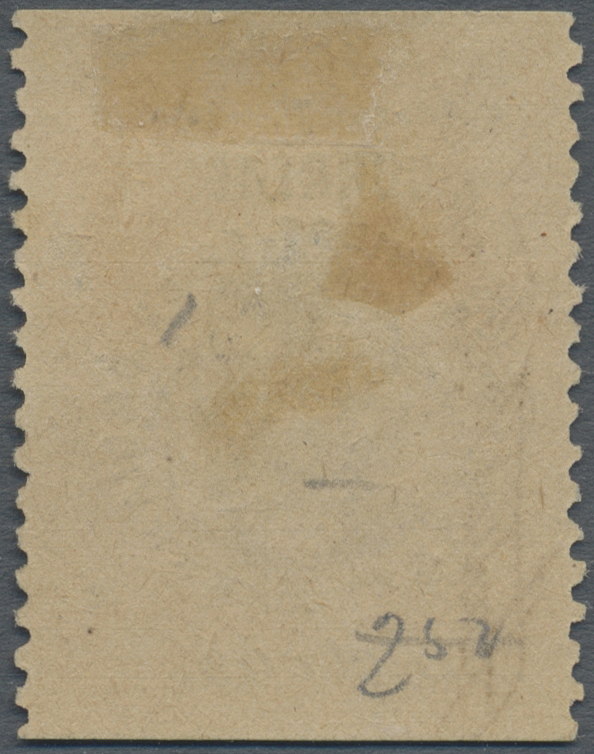 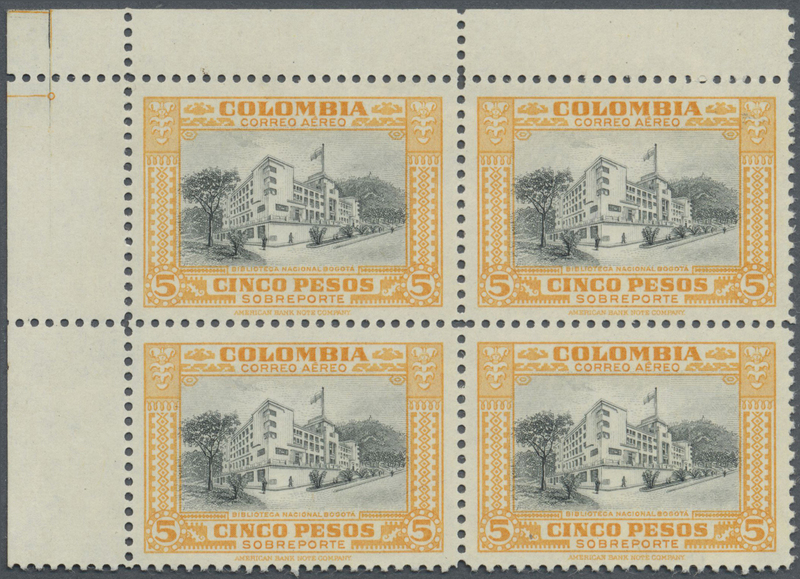 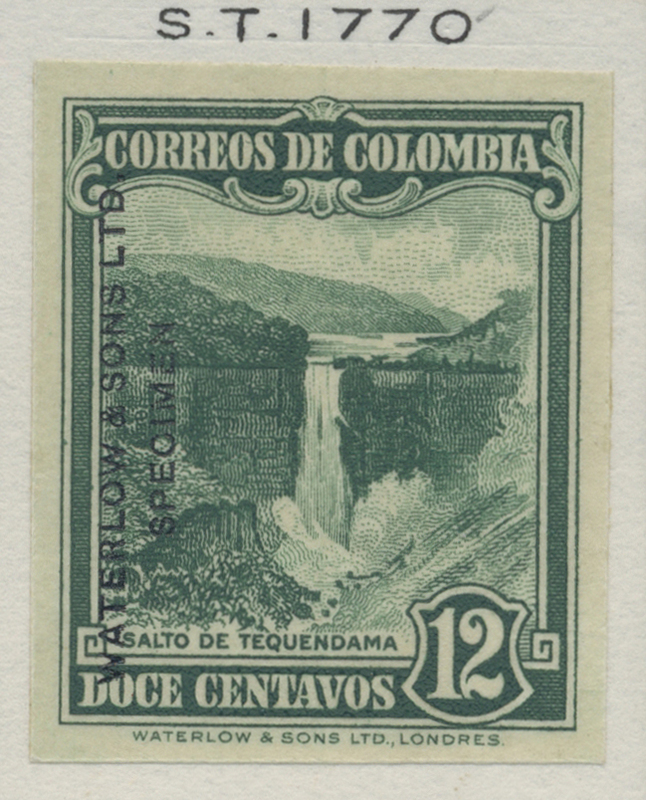 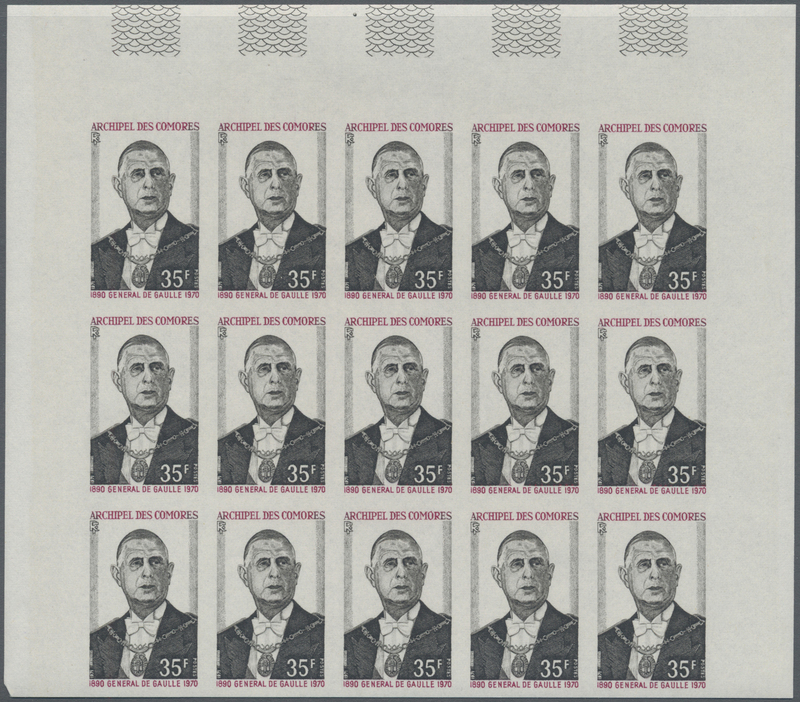 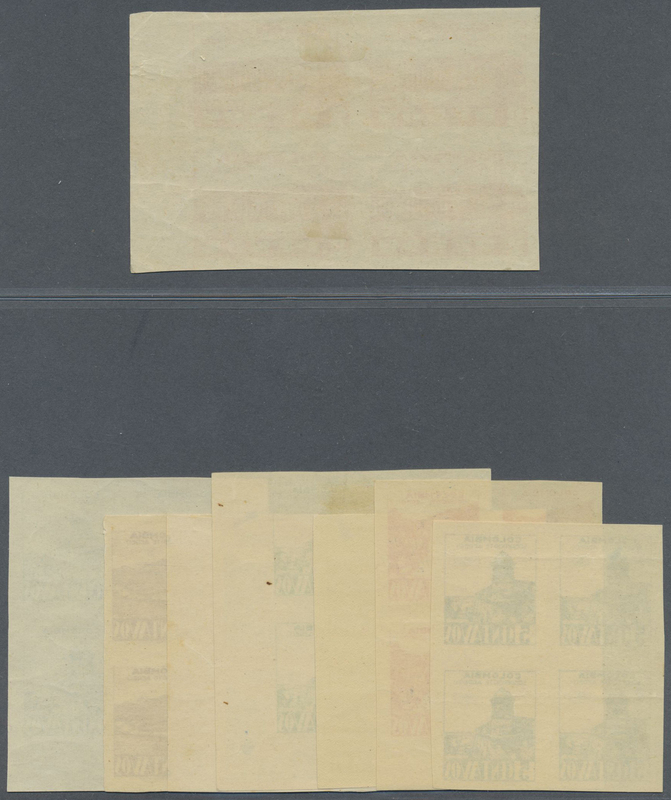 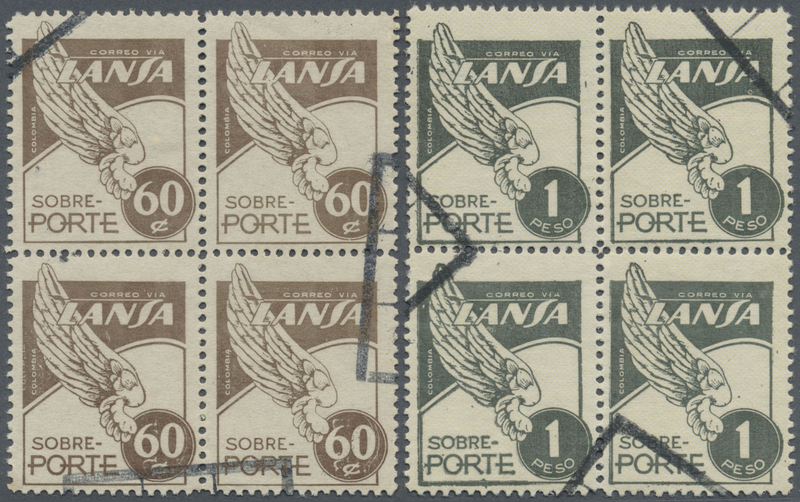 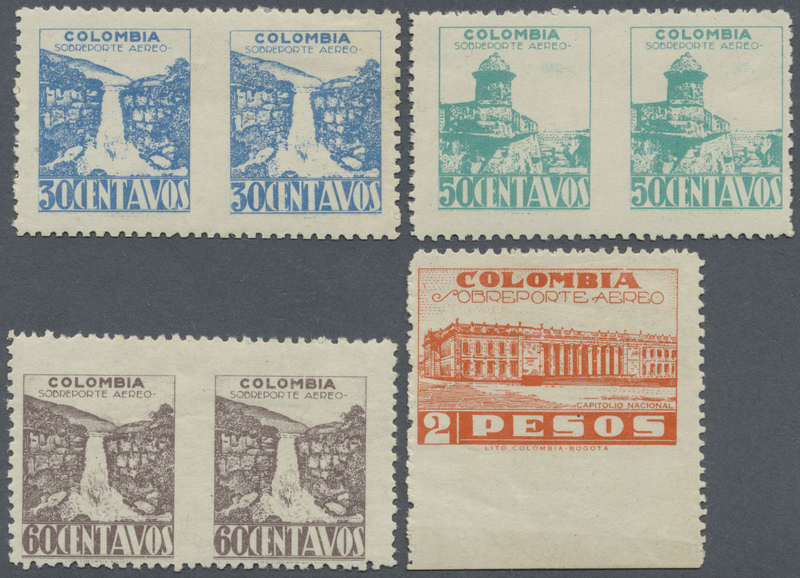 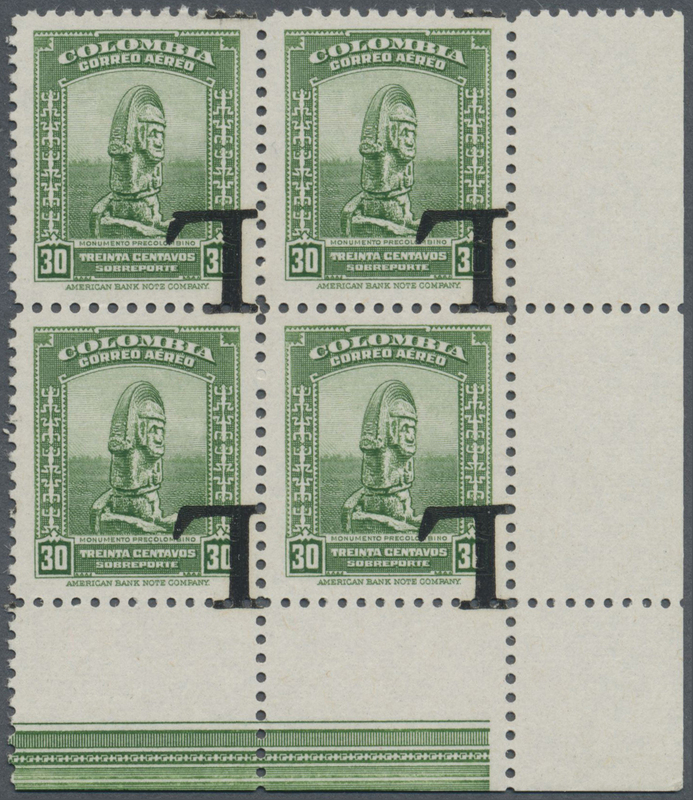 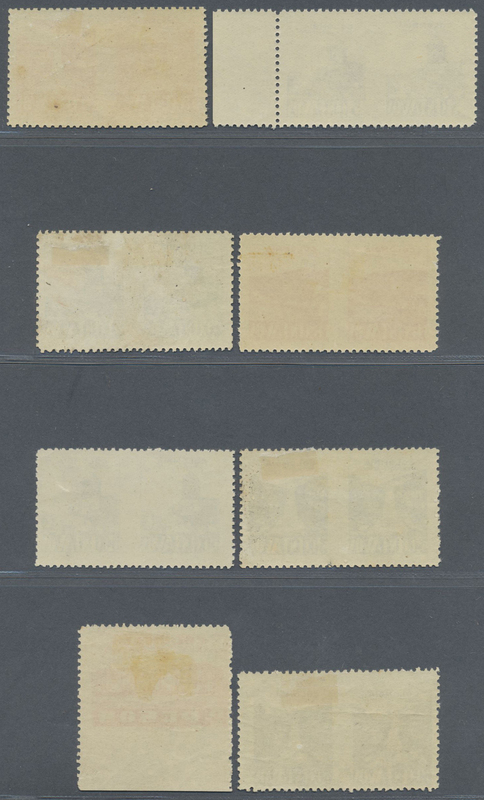 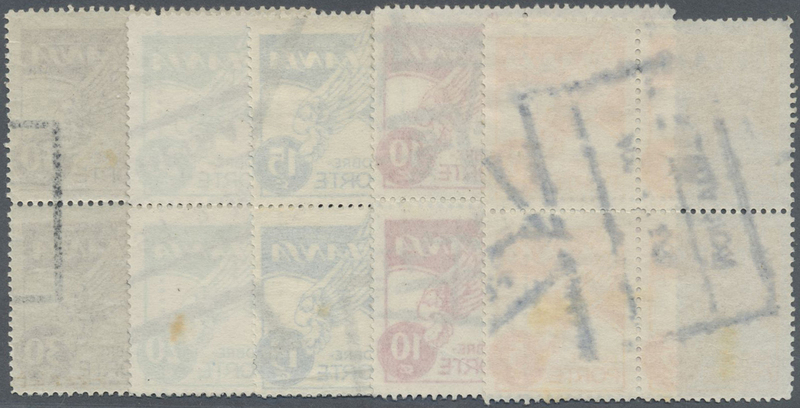 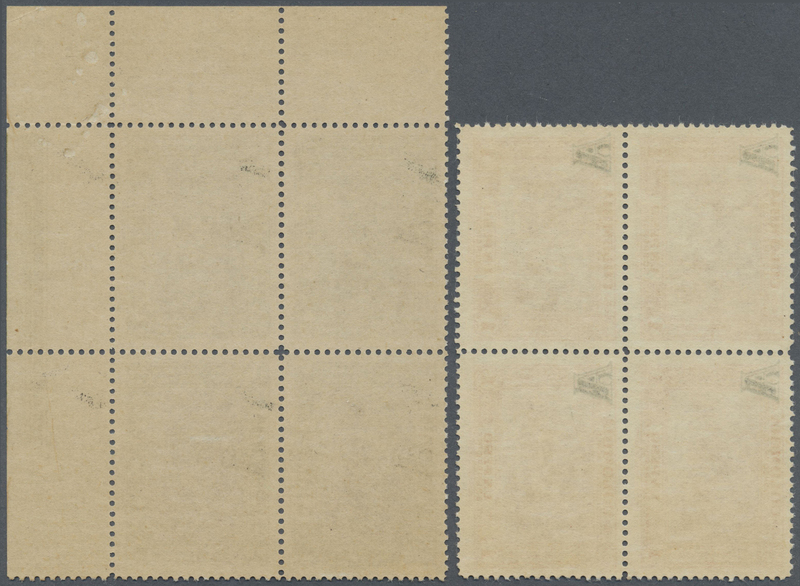 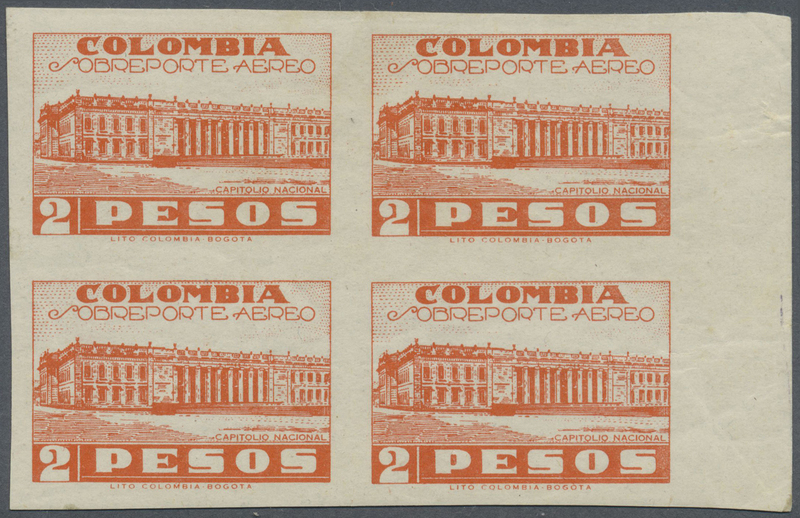 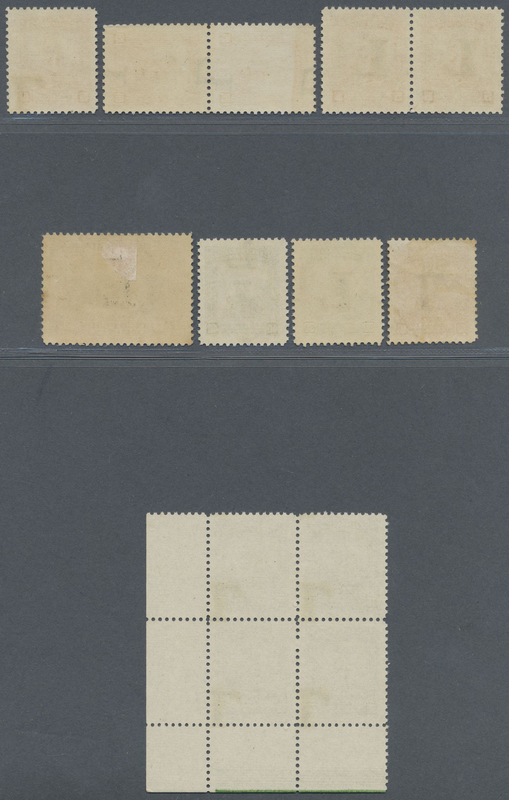 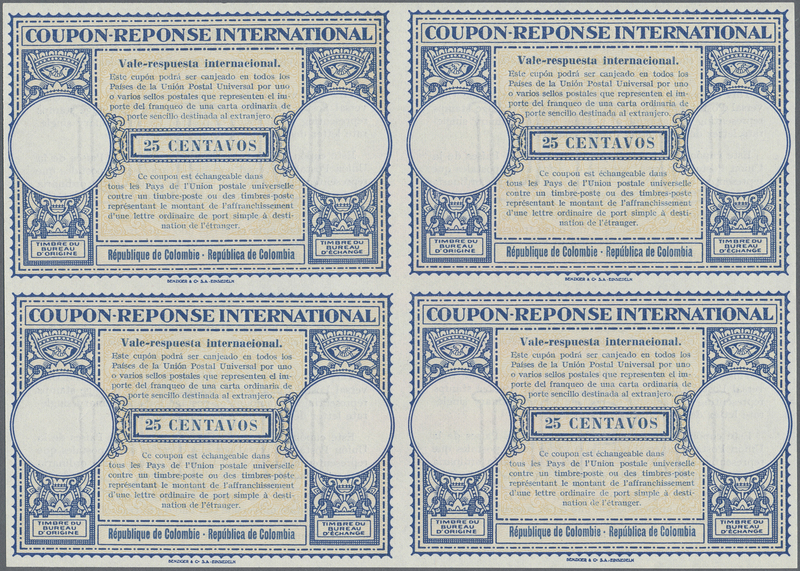 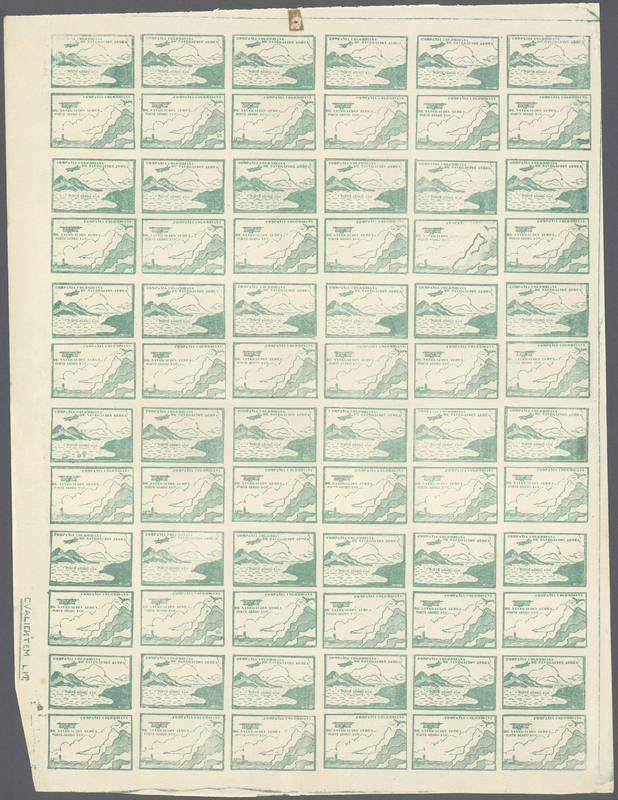 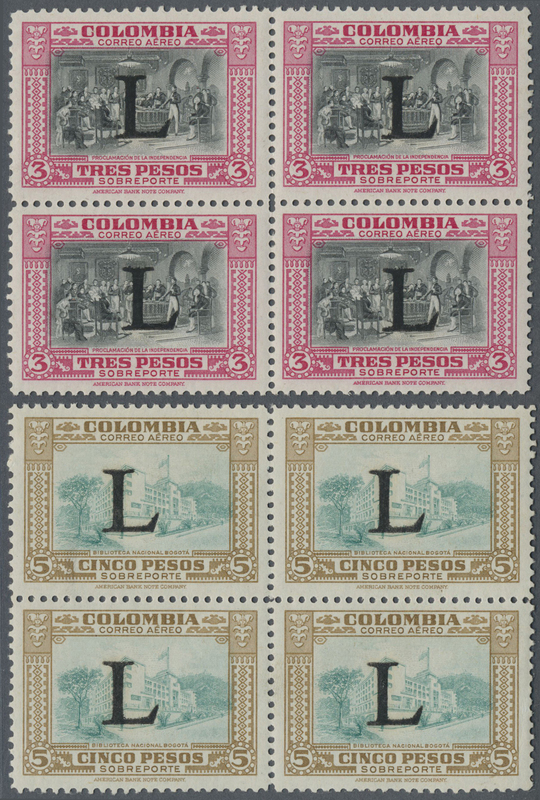 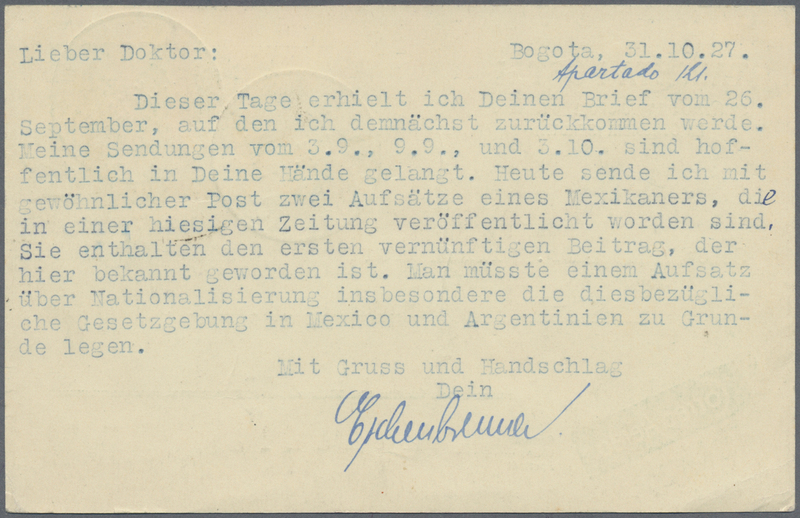 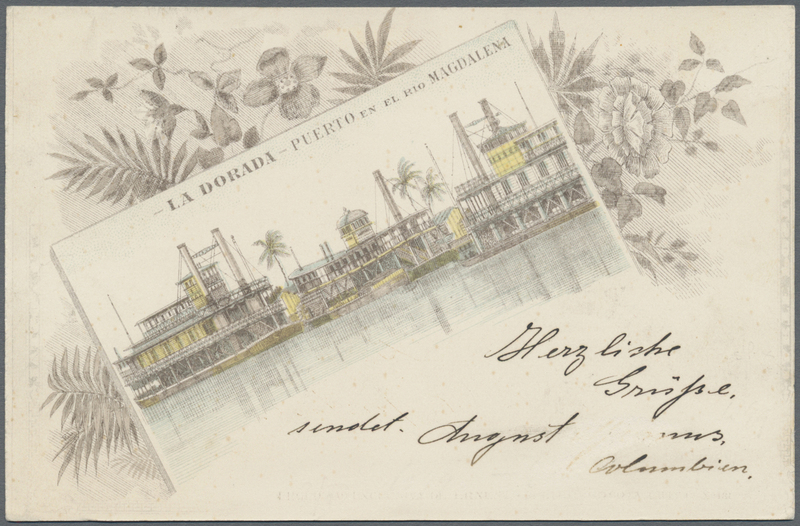 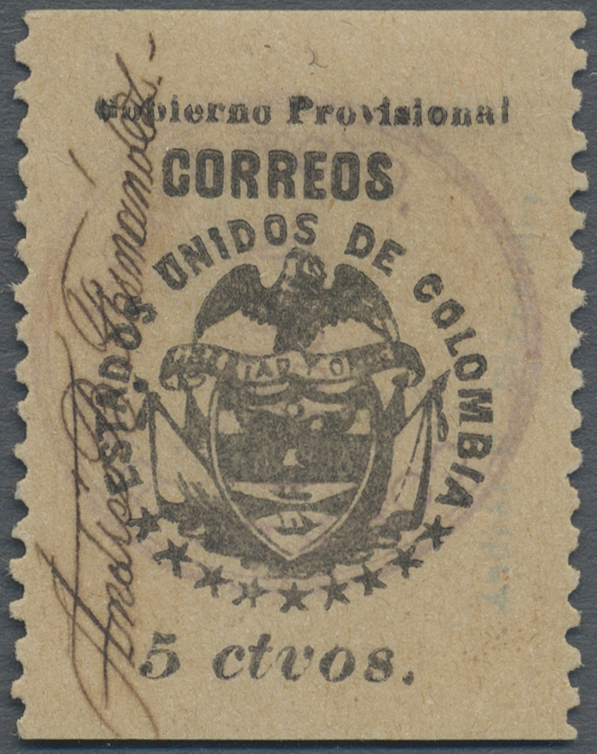 The cover weighed at 394 grams and corresponding 1 peso 10c rate marking alongside in the same handwriting as the pen cancellation on the stamps. 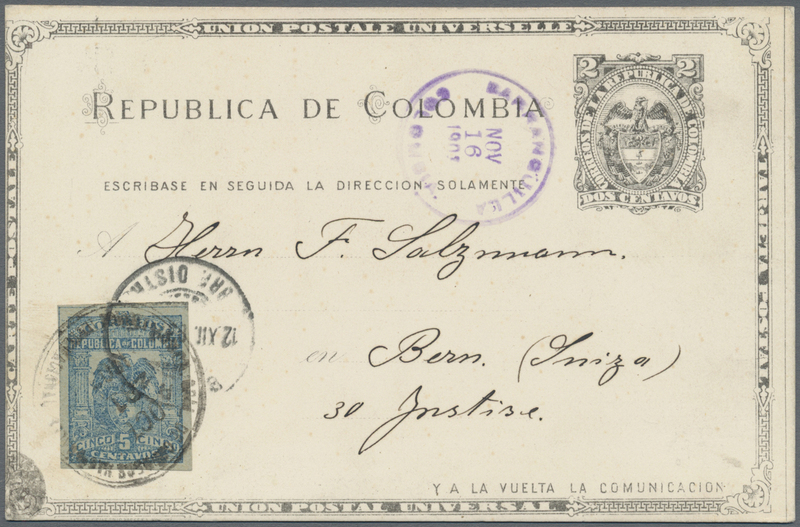 The cover was addressed to the Tribunal de Justicia, showing the "de Justª" written in the same handwriting as the cover illustrated in Gene Scott ´s handbook page 22. 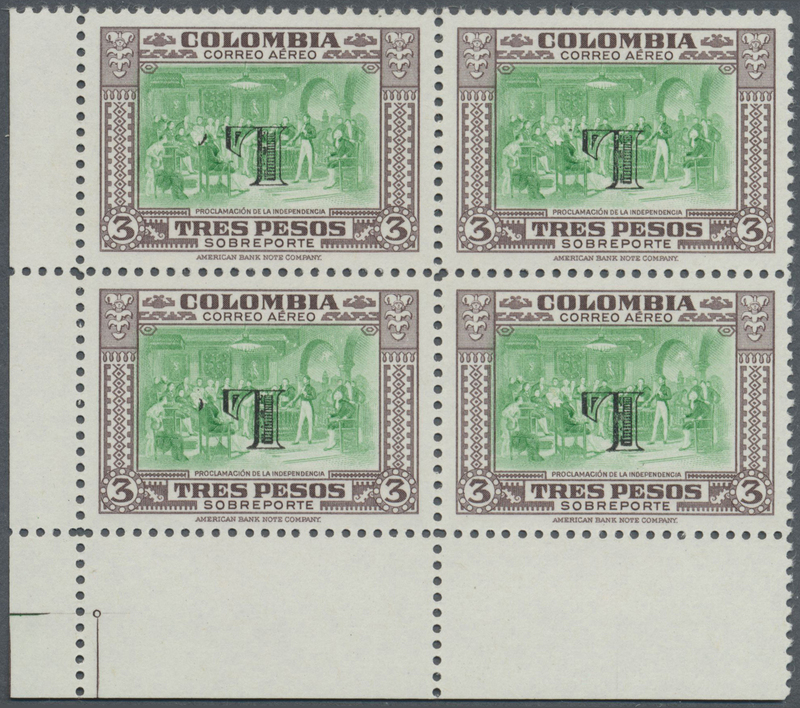 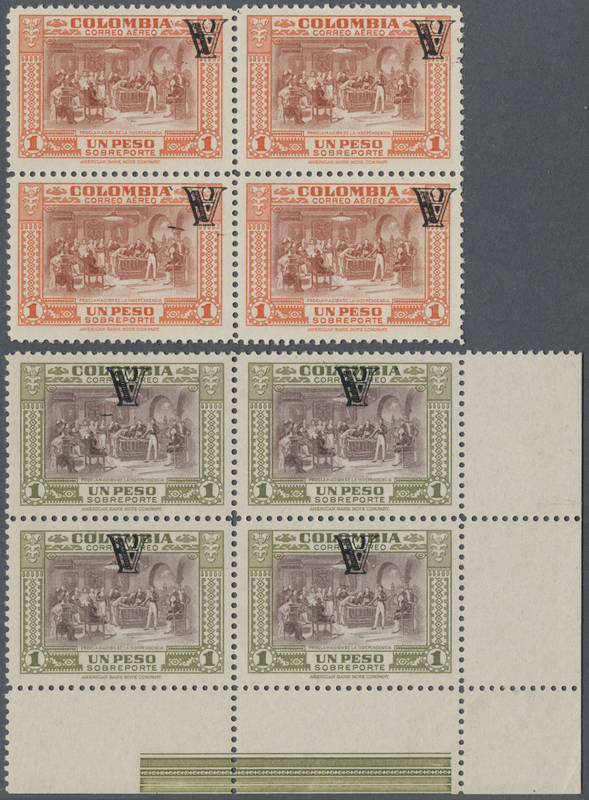 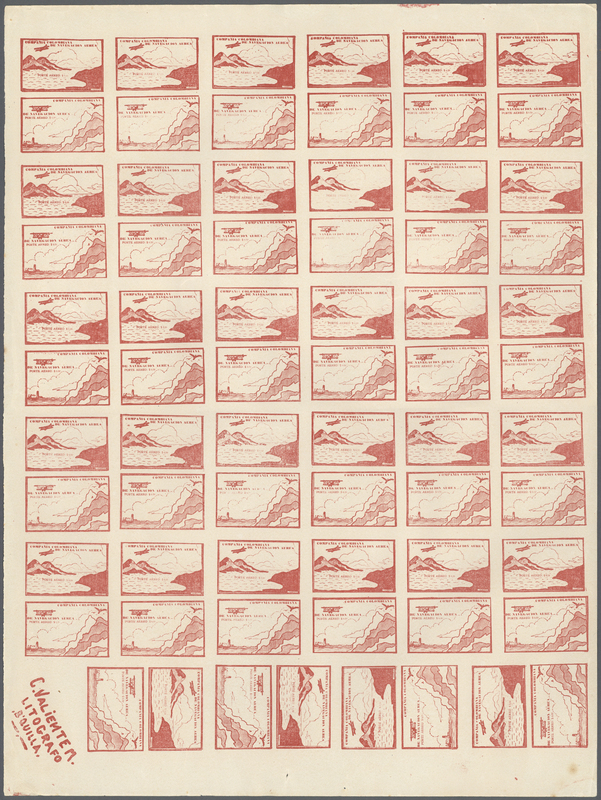 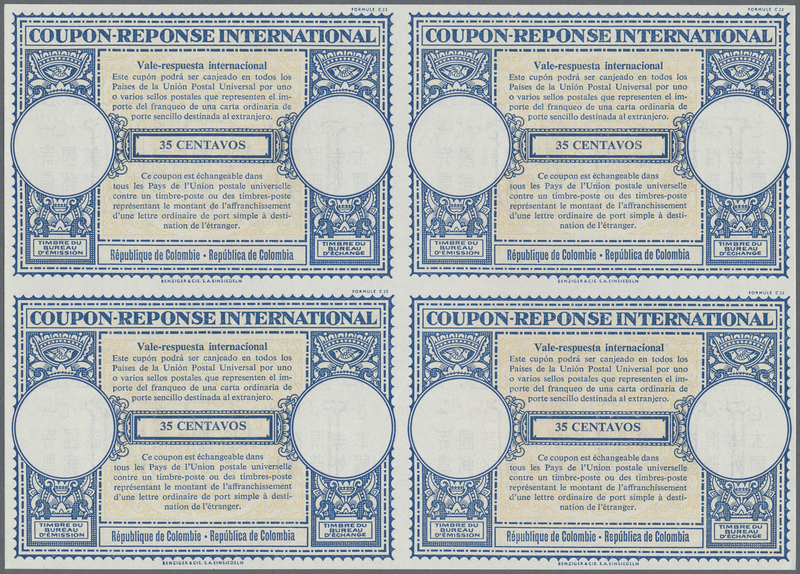 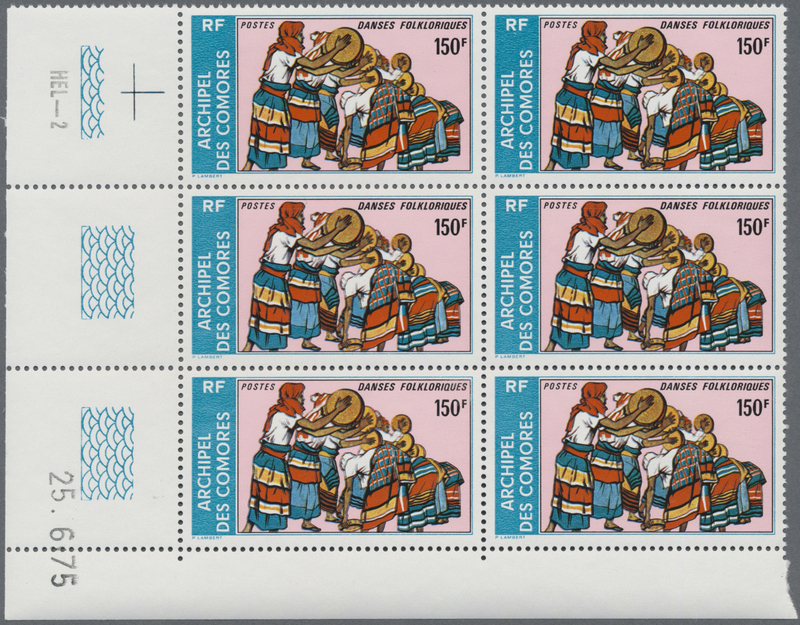 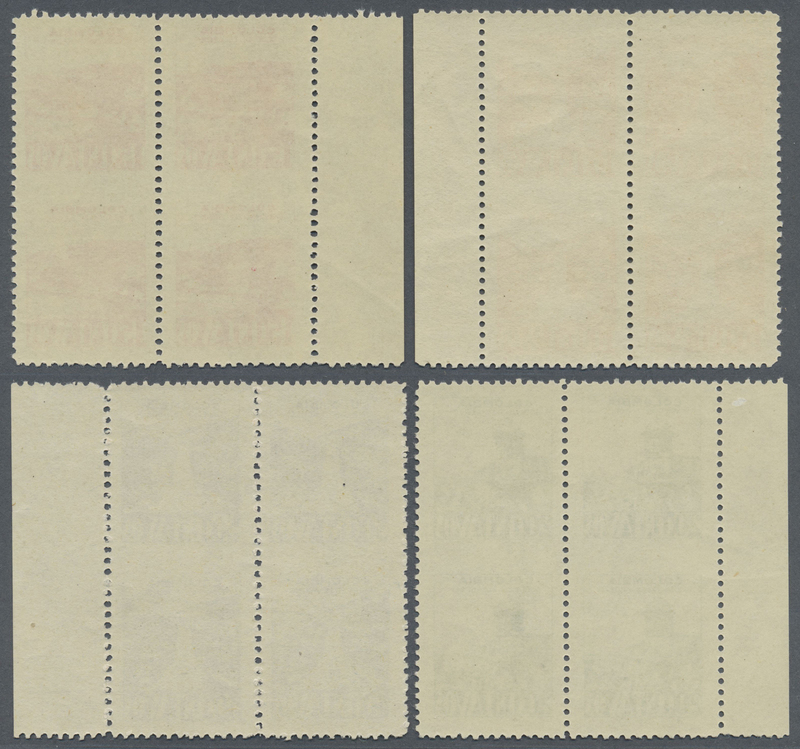 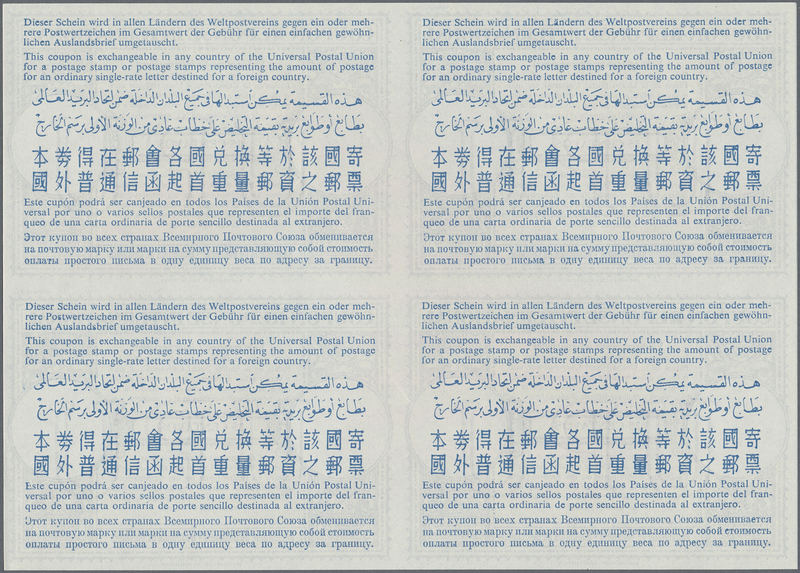 ONLY 3 PART COVERS OR COVER OF THE 1 PESO ARE KNOWN TO US.